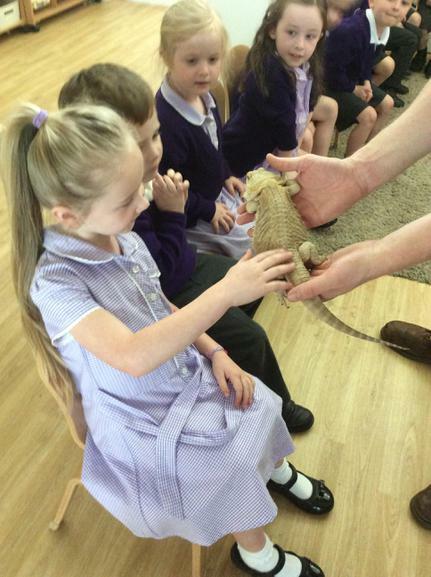 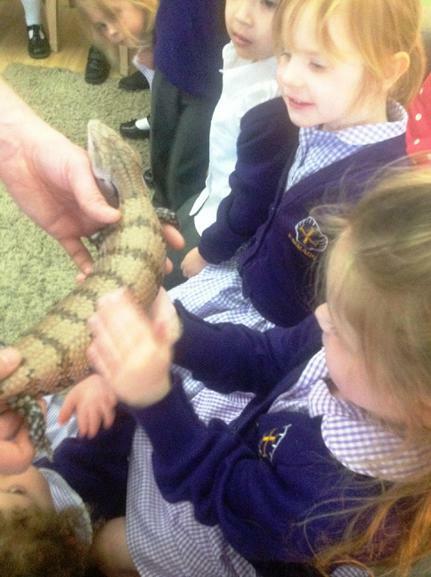 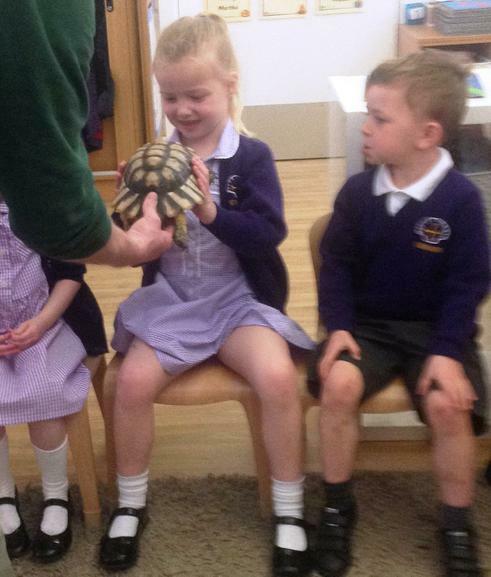 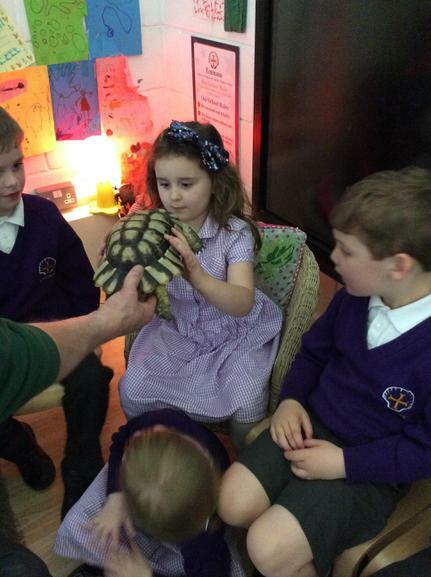 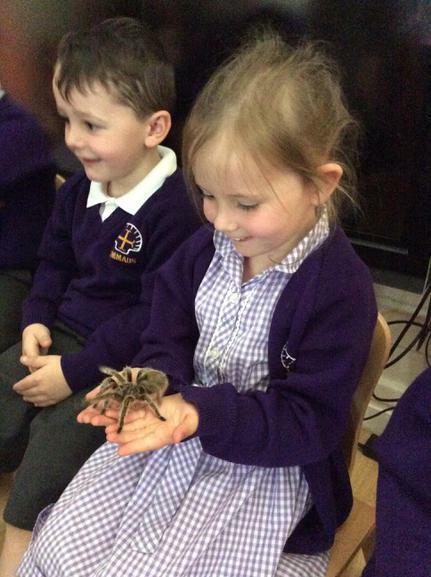 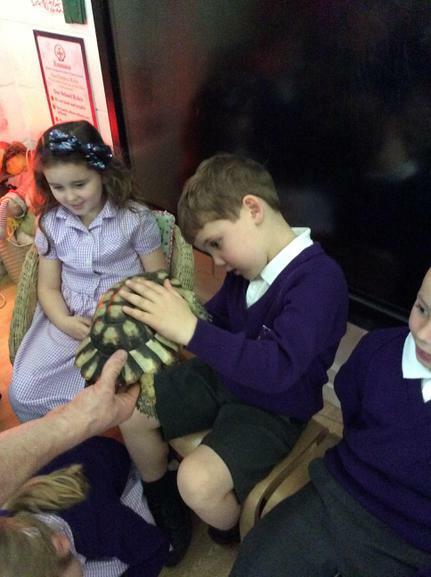 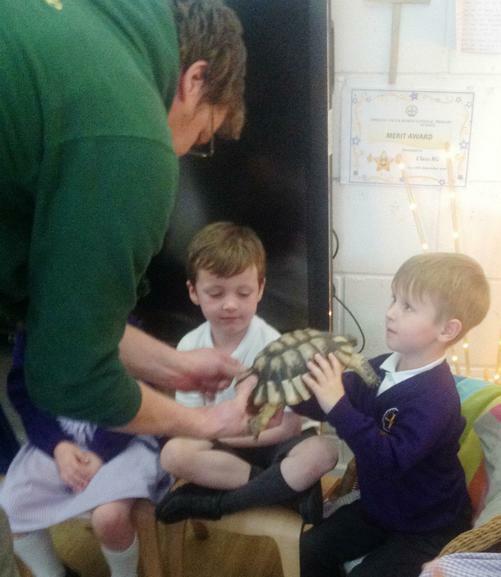 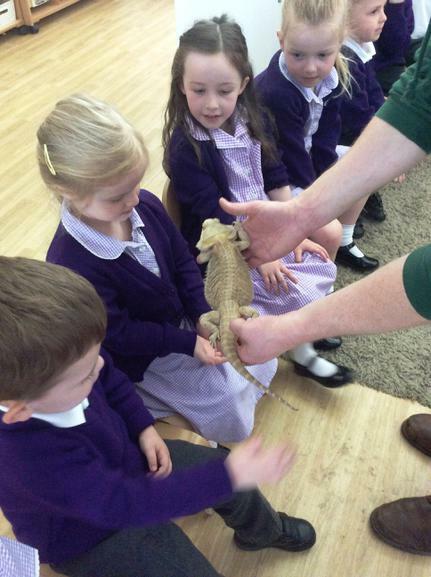 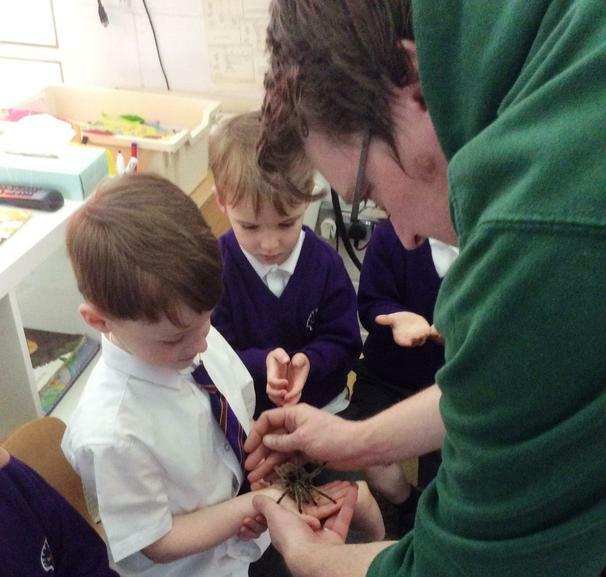 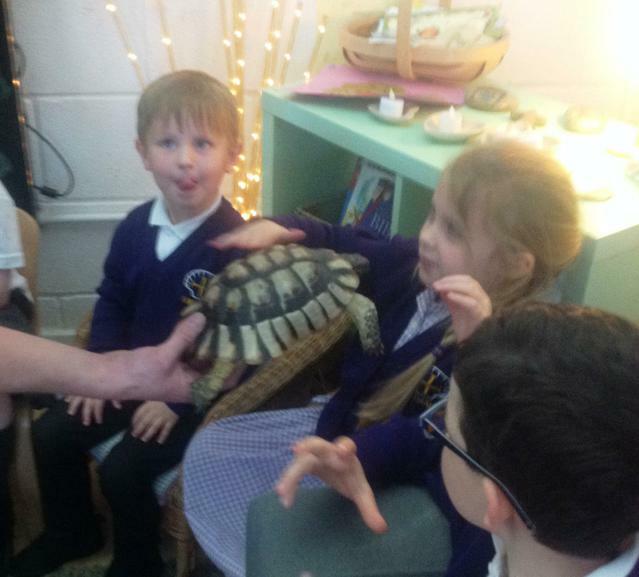 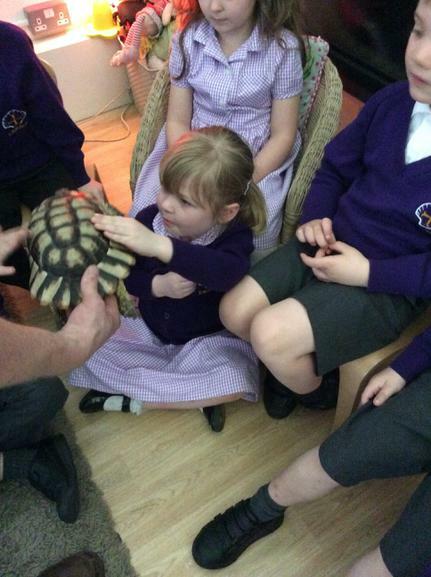 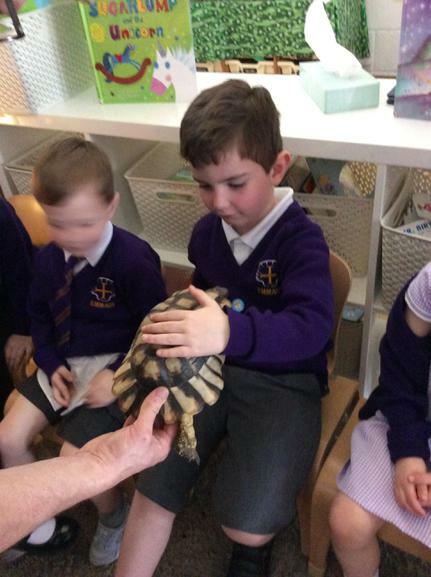 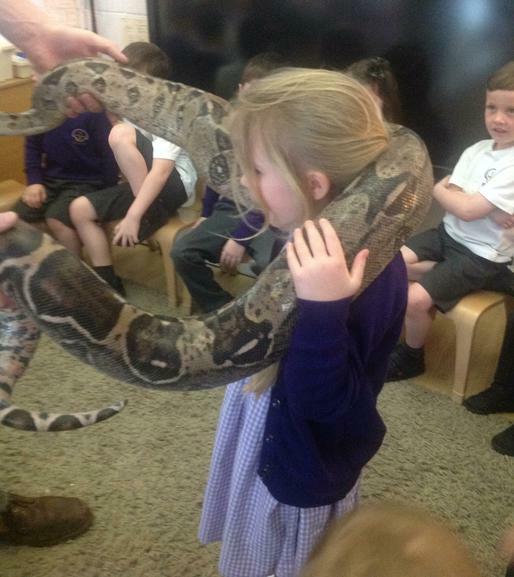 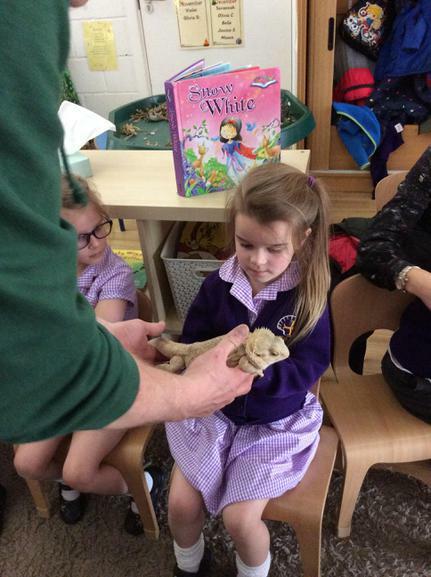 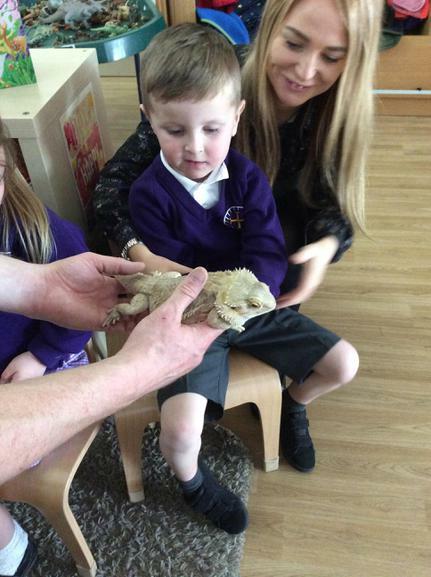 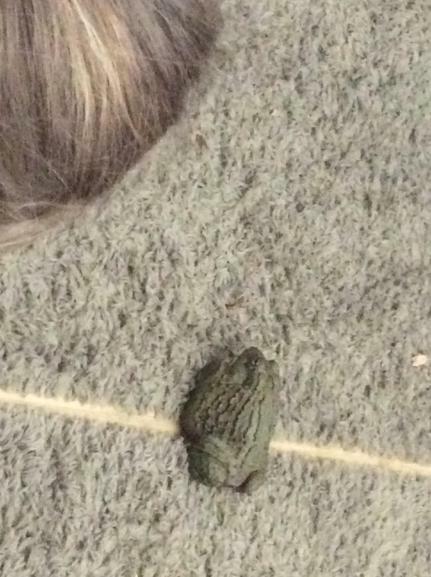 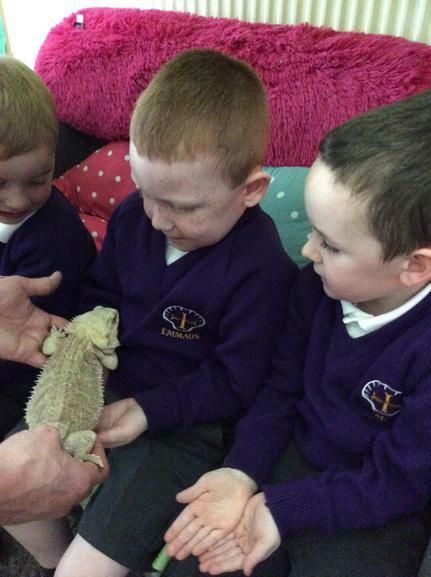 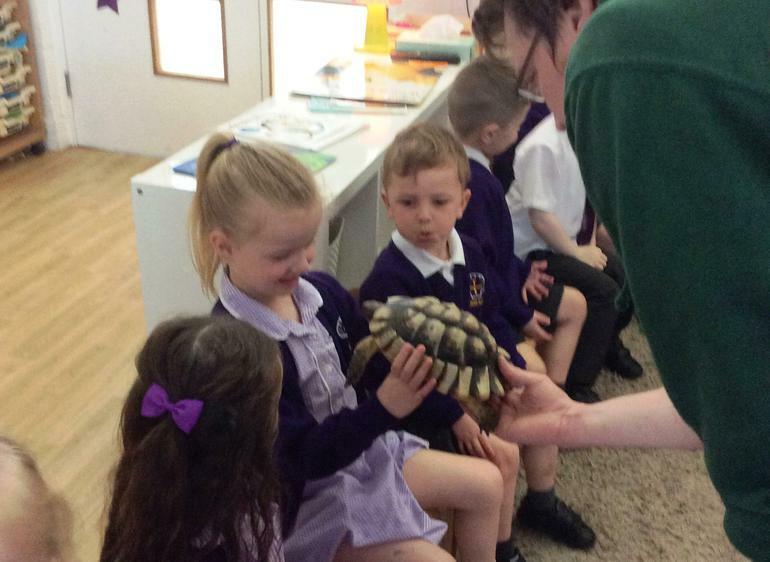 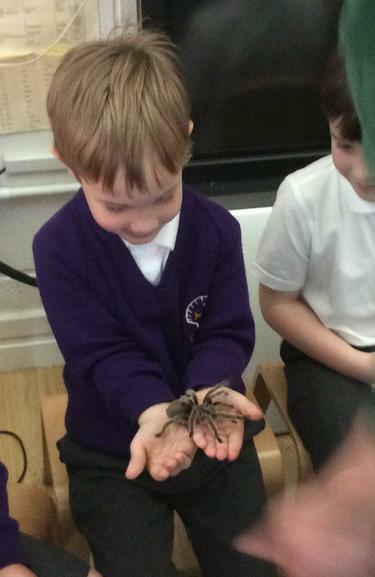 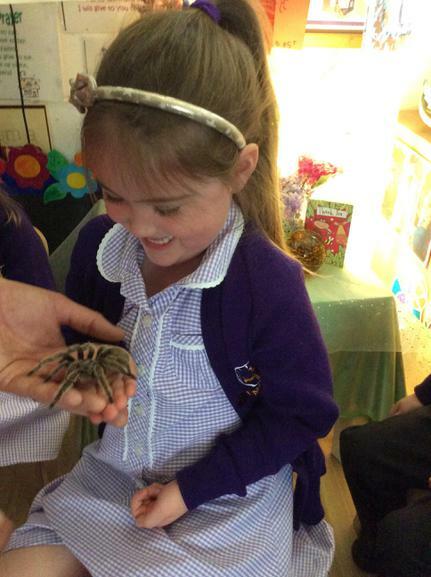 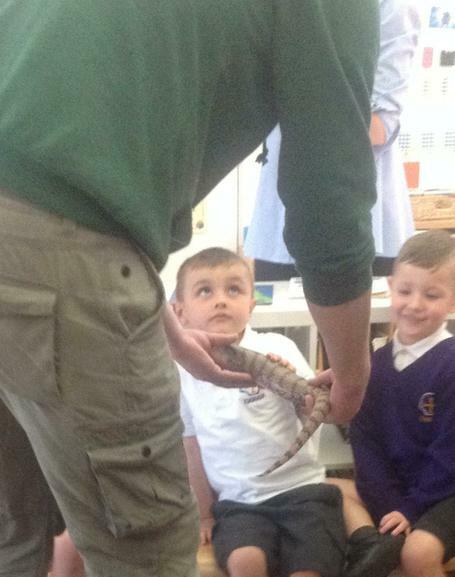 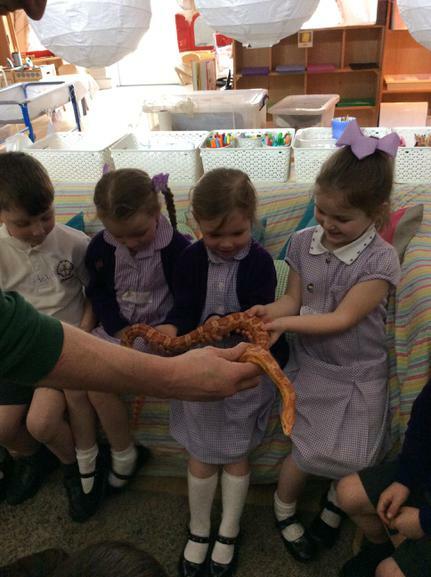 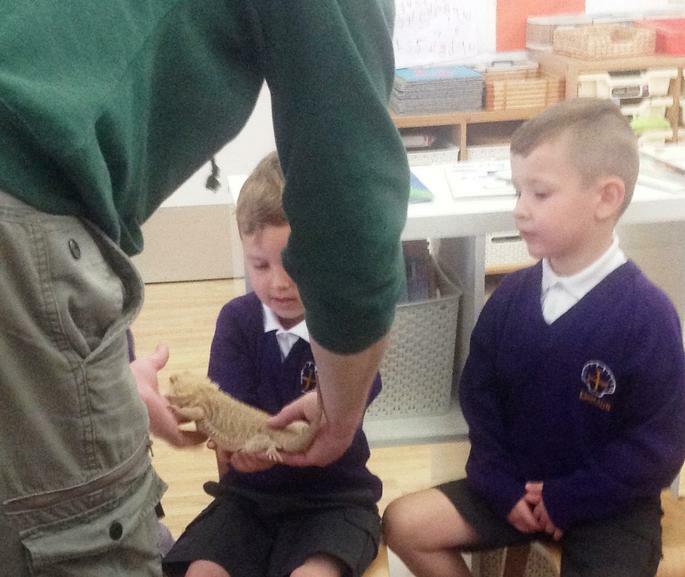 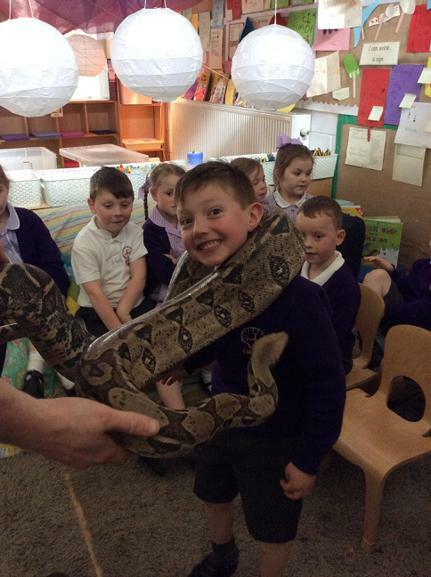 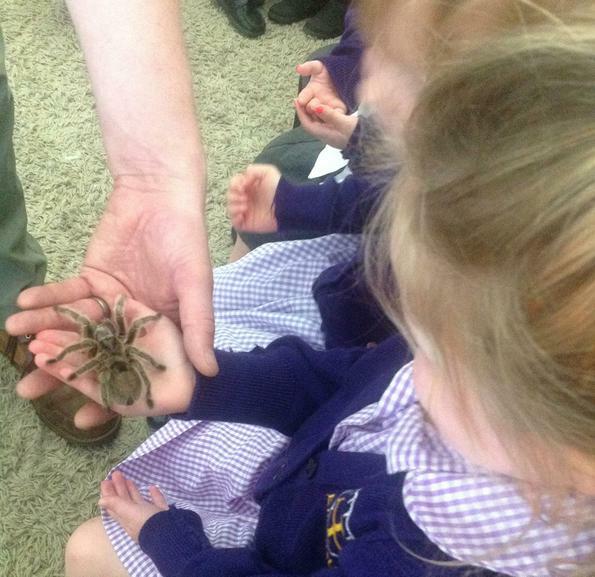 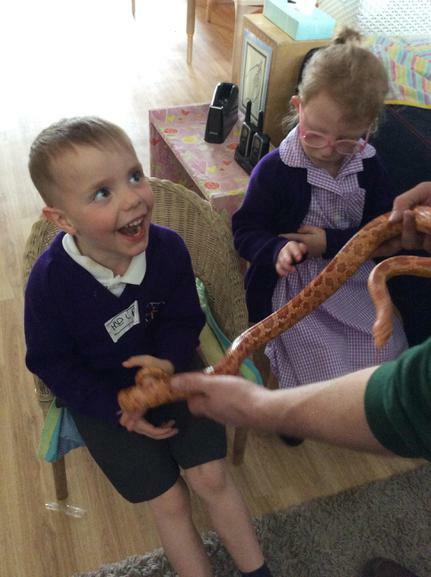 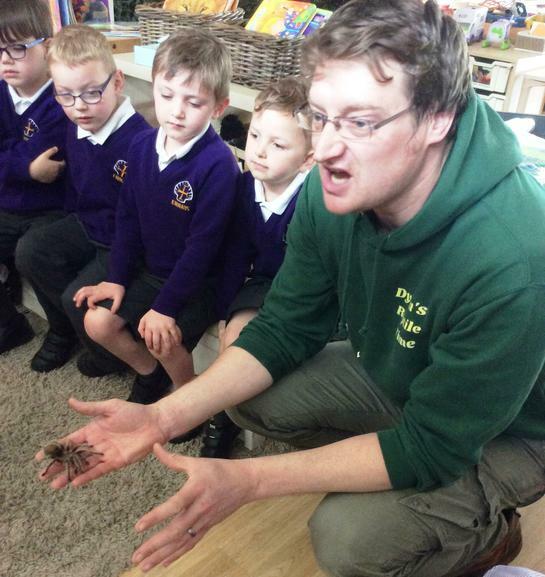 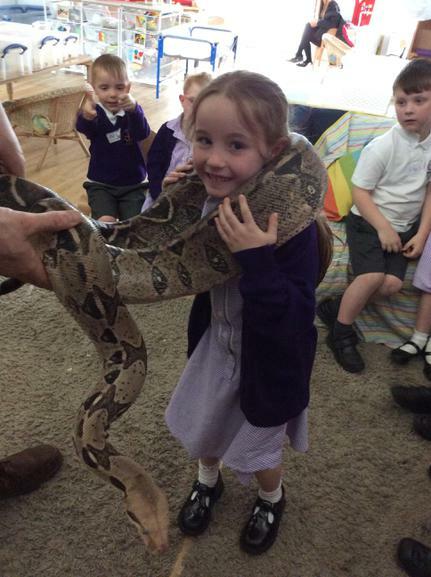 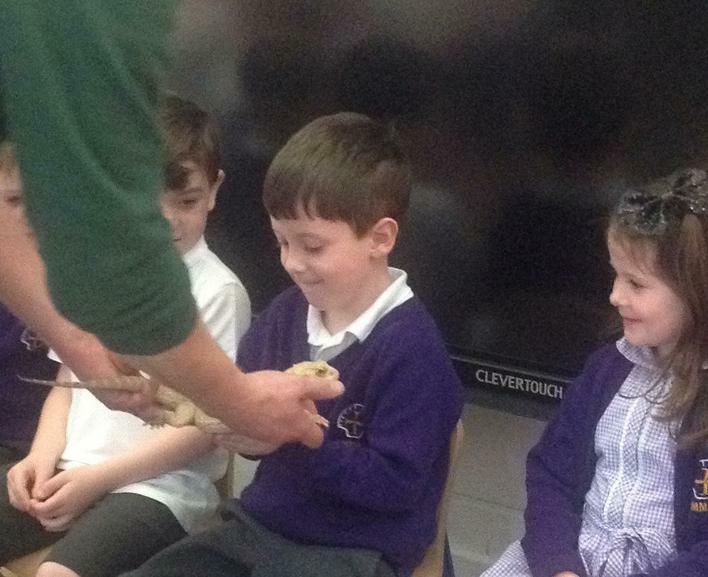 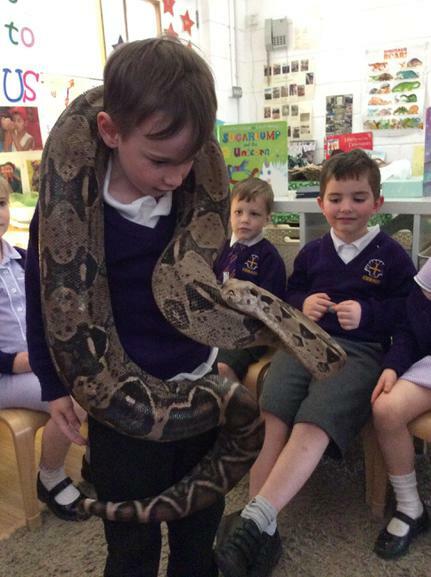 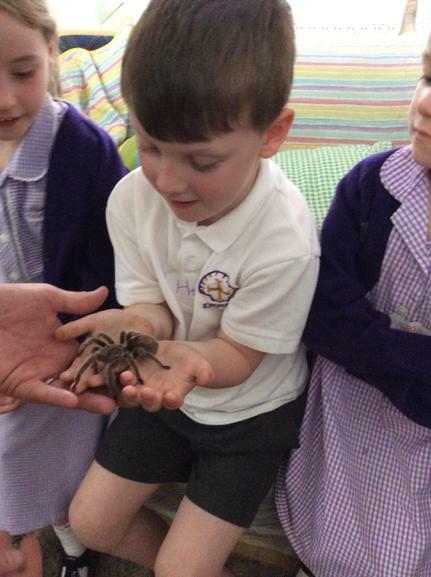 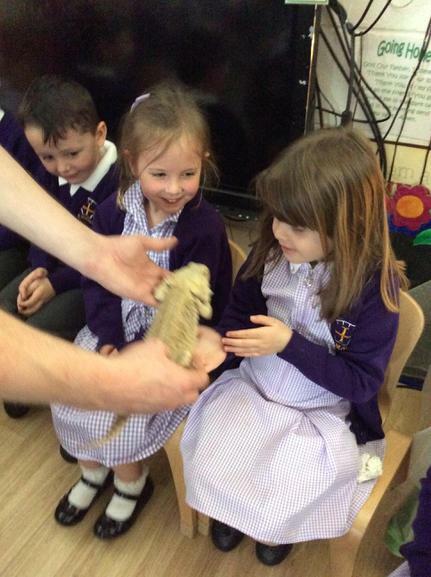 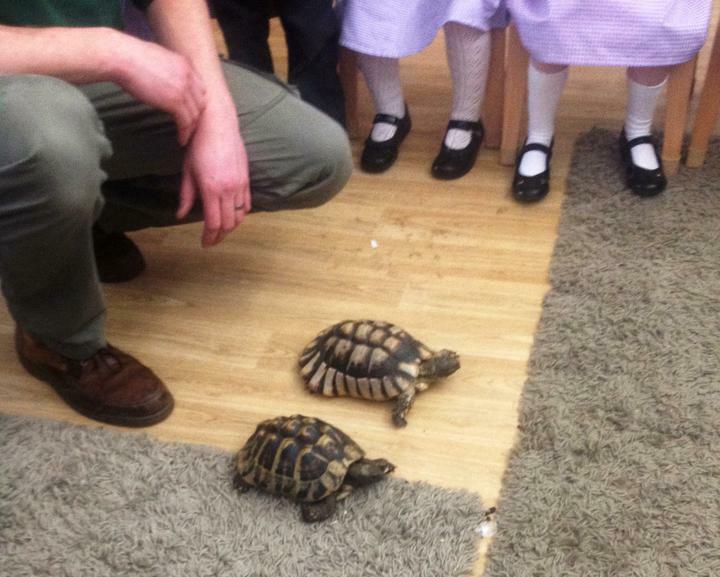 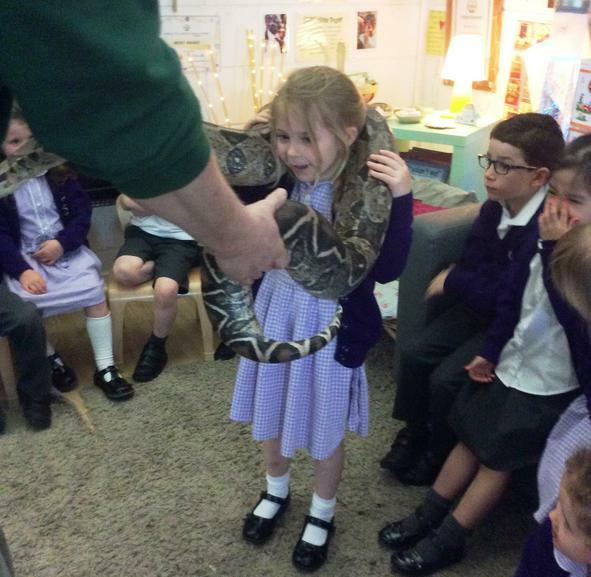 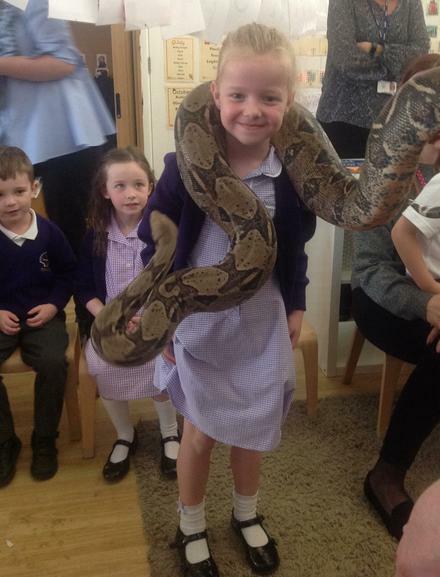 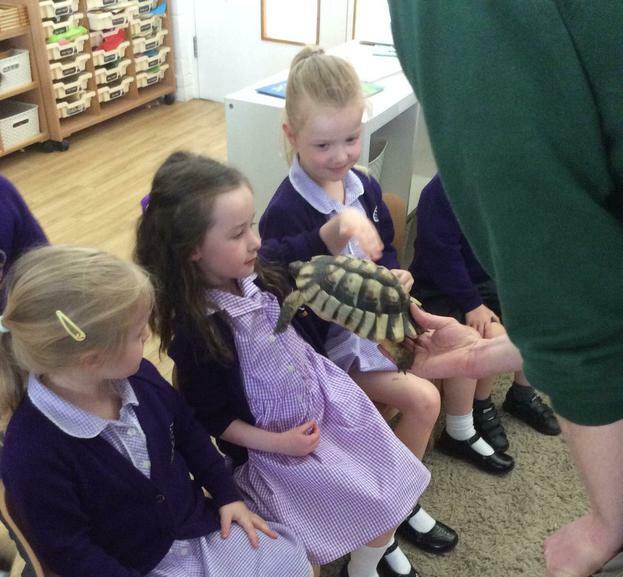 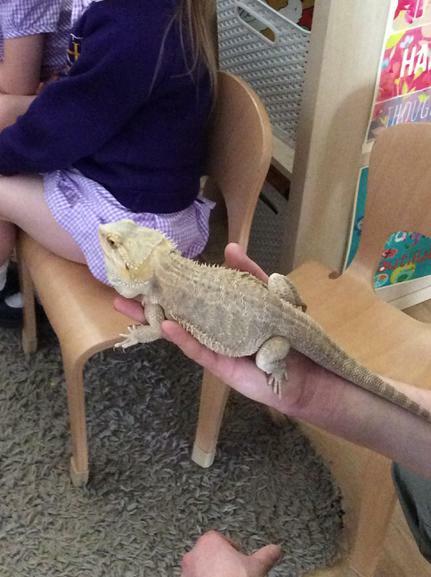 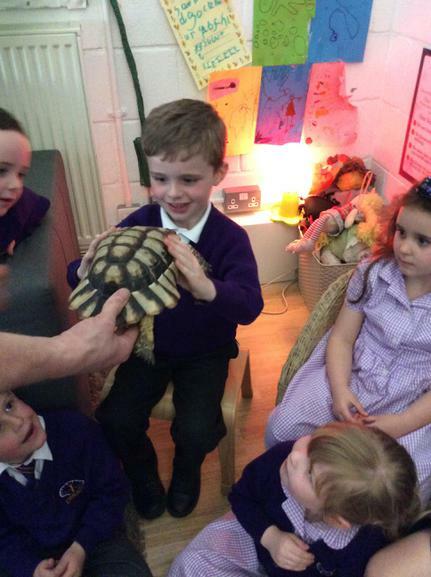 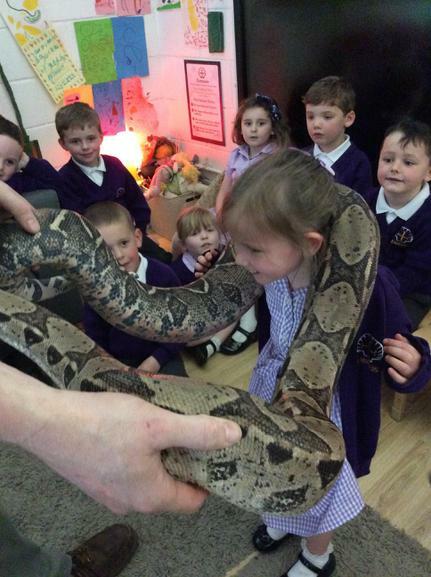 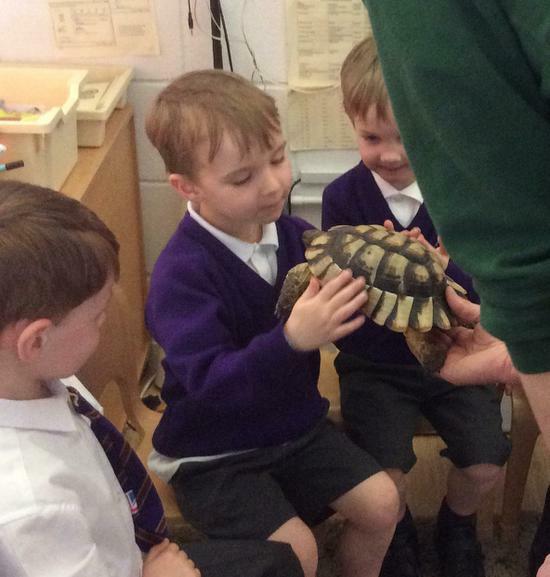 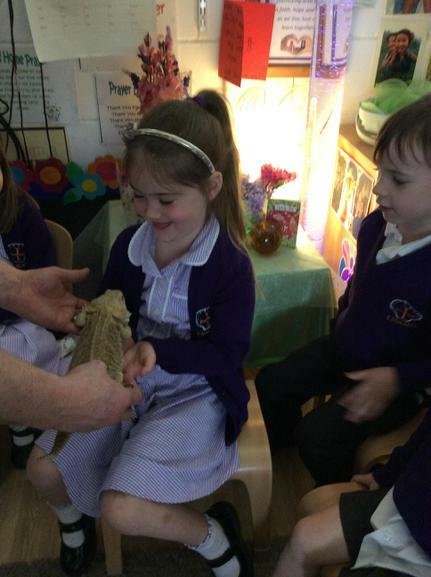 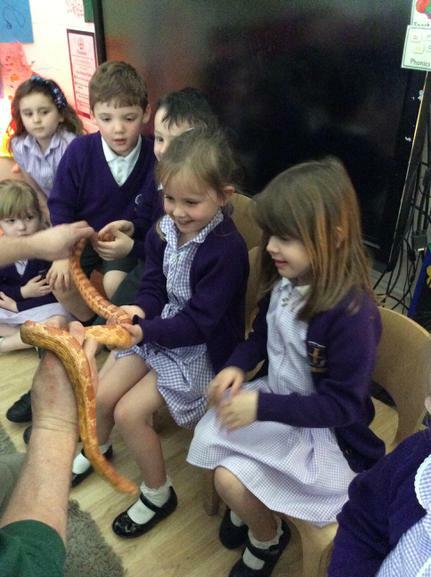 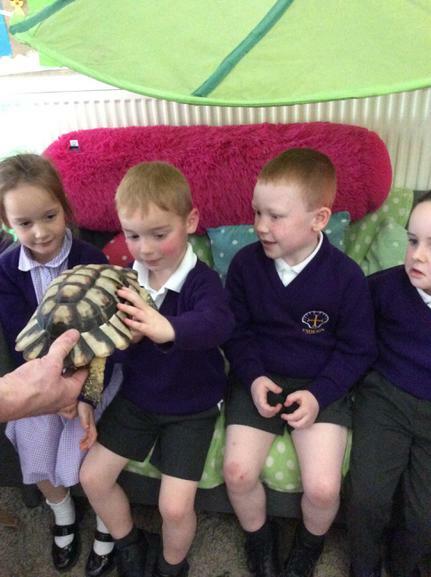 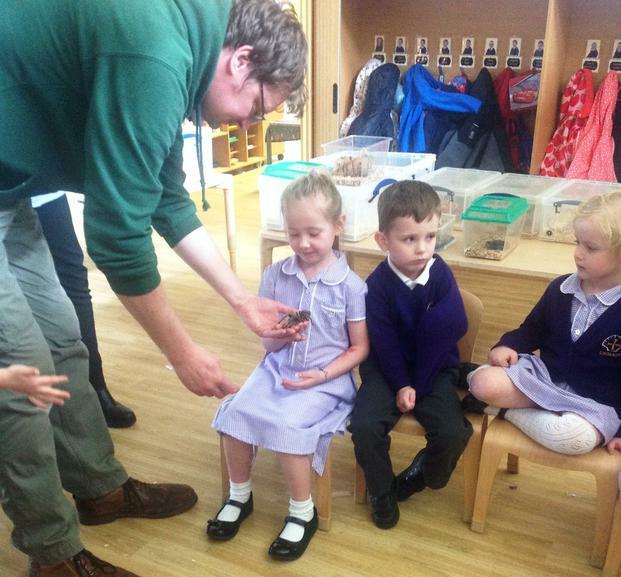 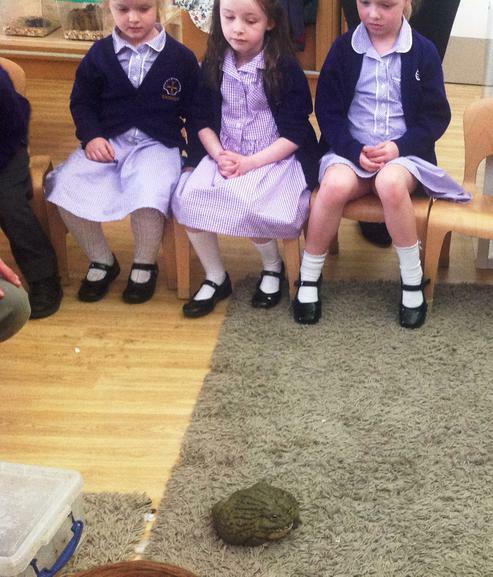 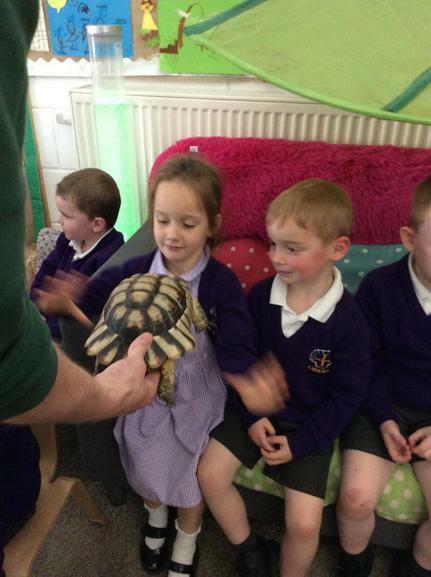 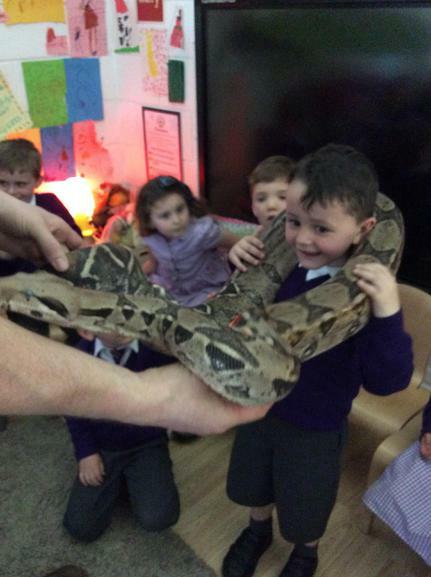 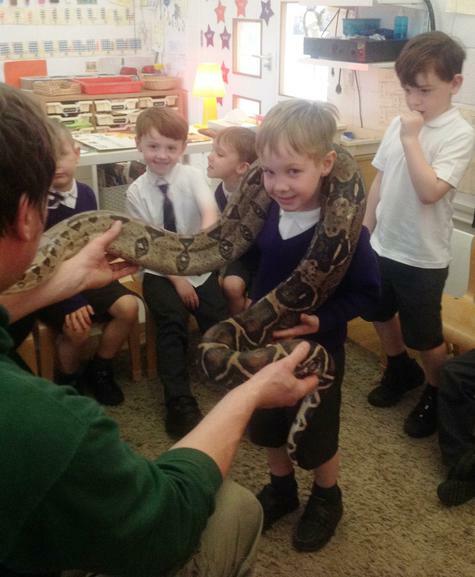 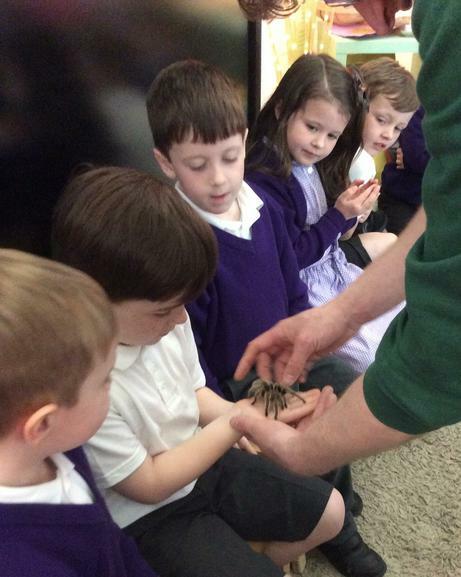 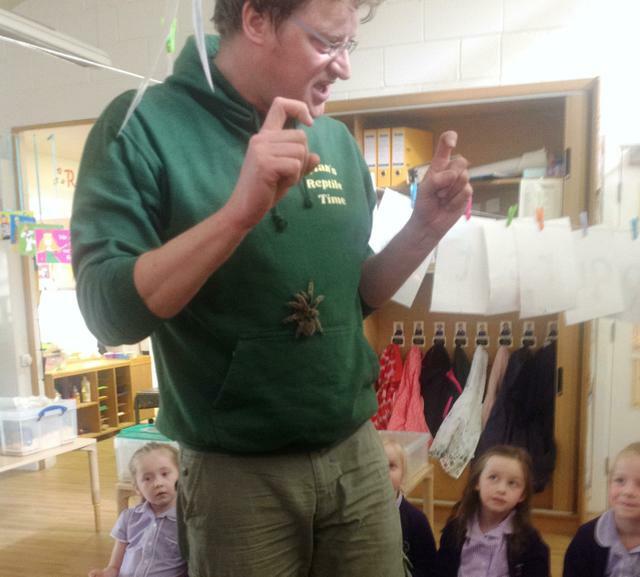 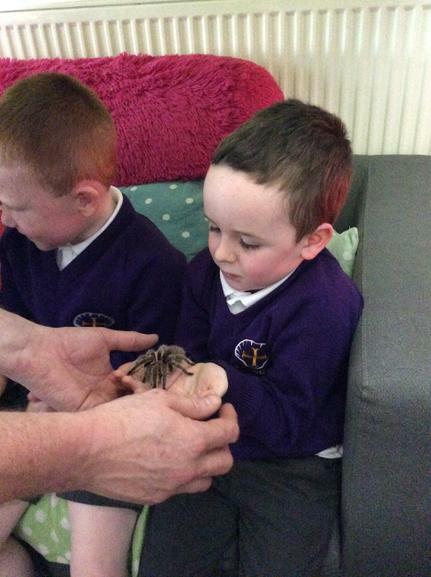 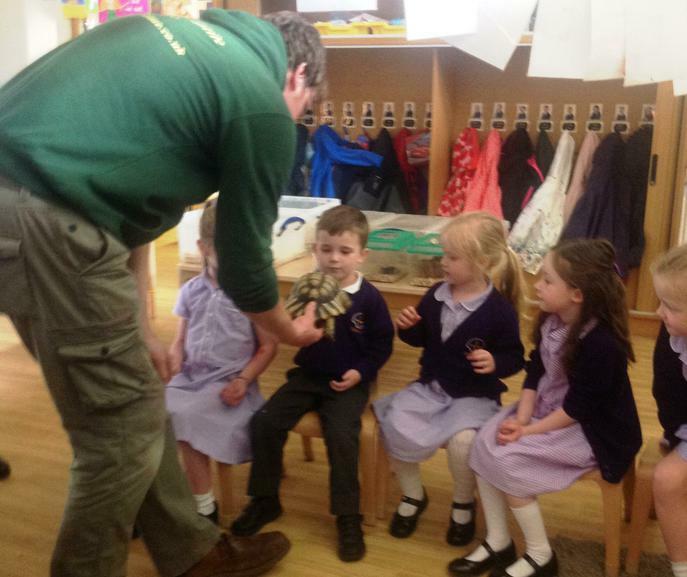 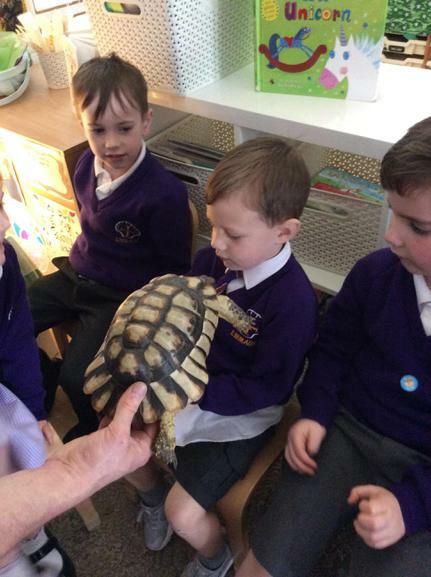 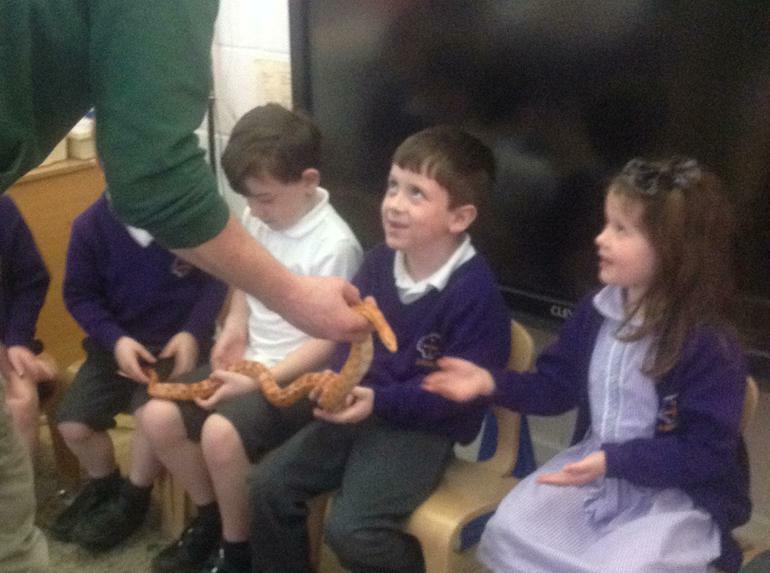 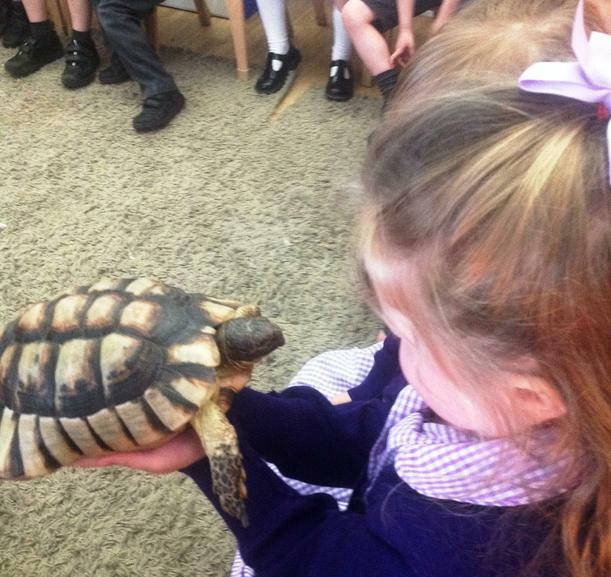 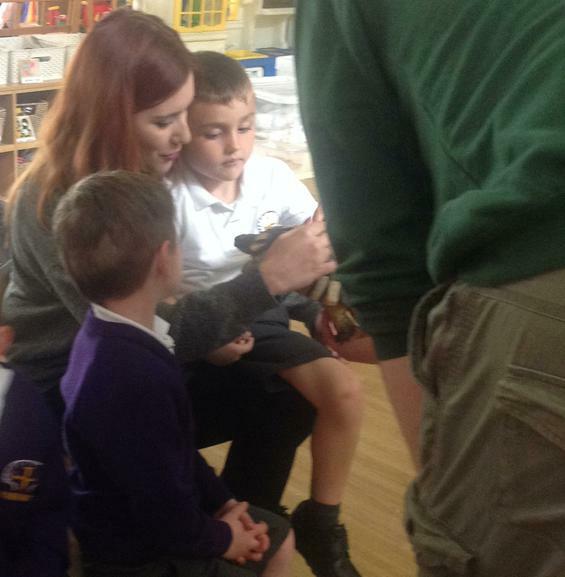 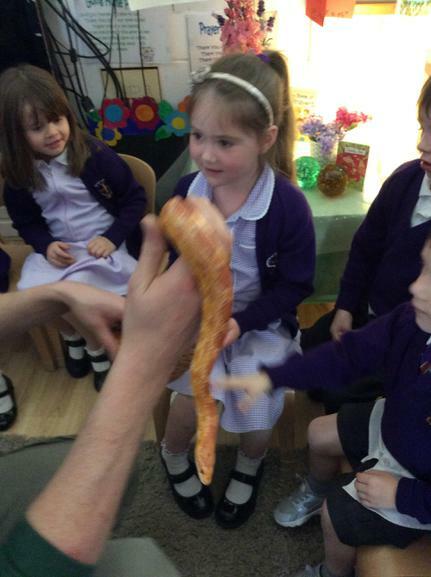 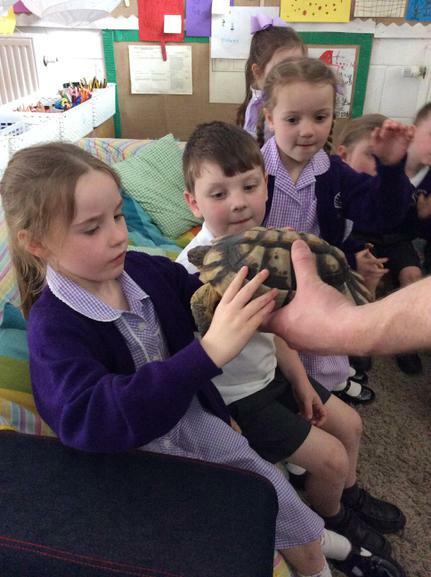 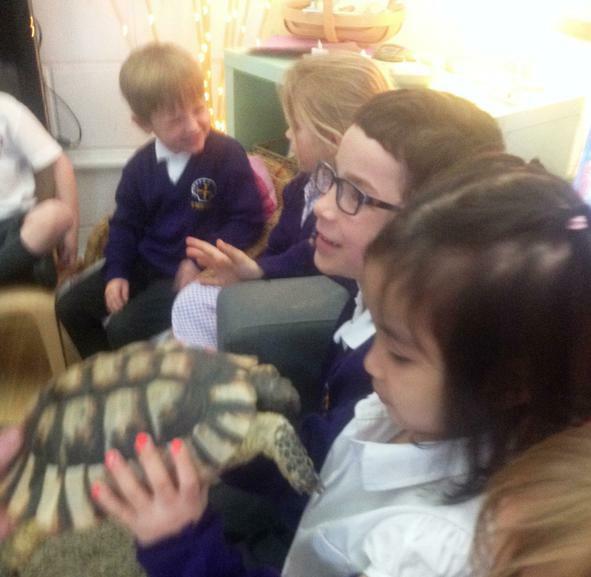 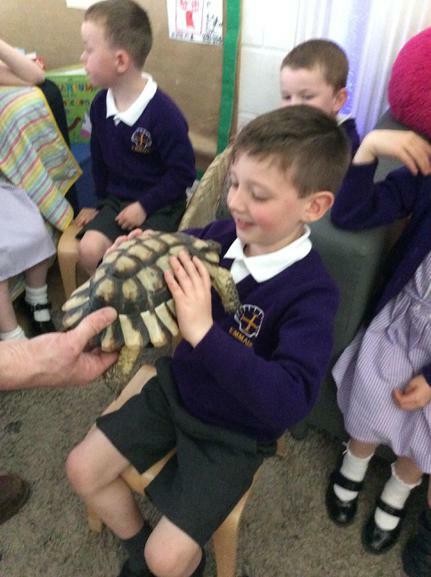 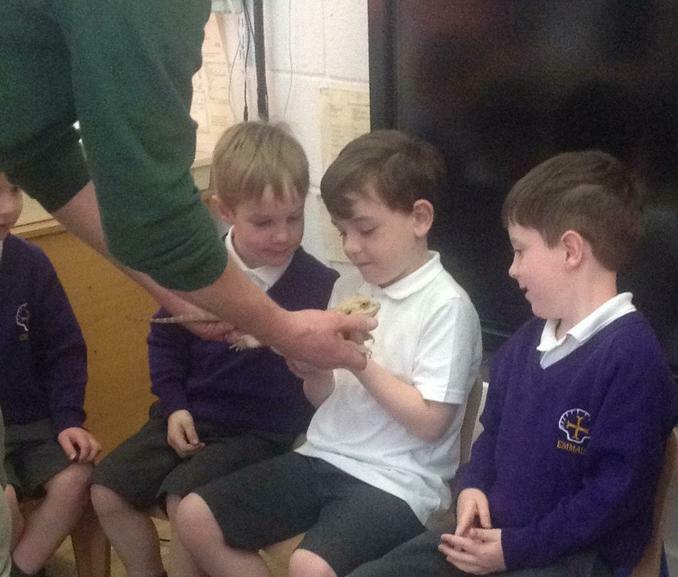 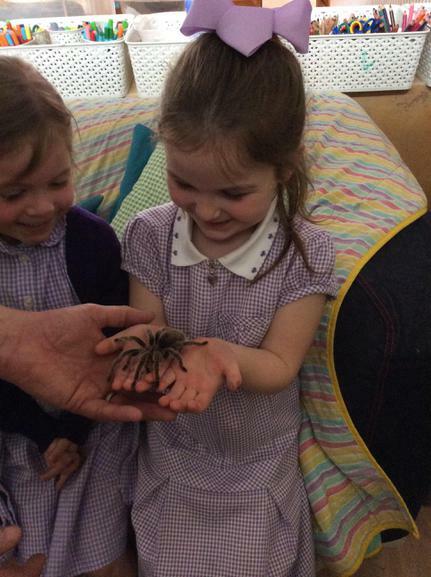 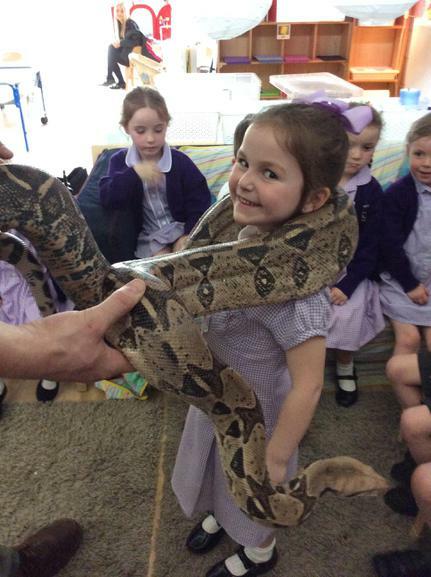 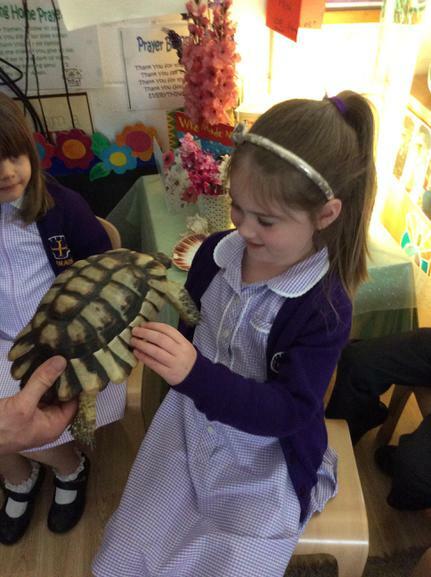 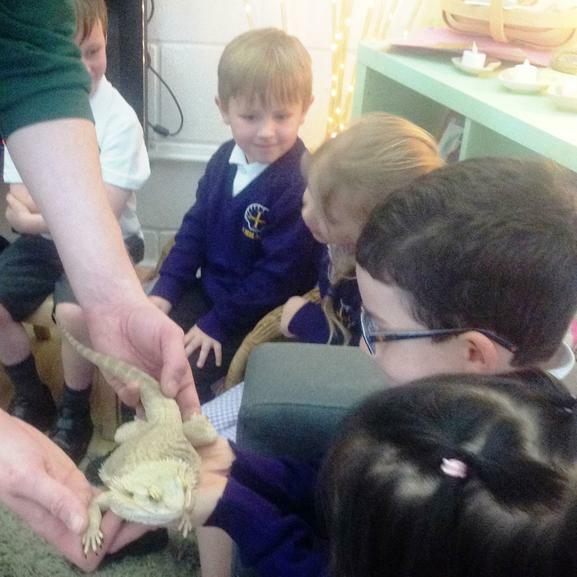 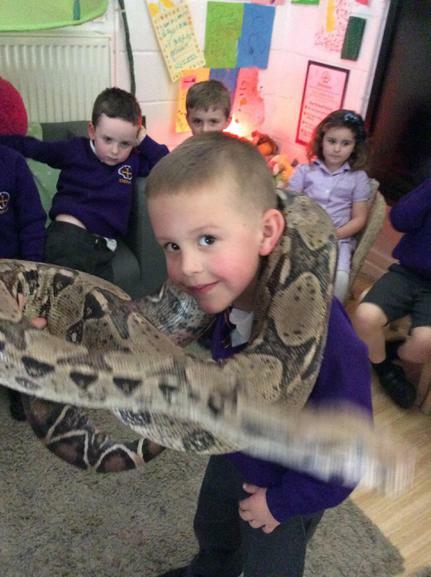 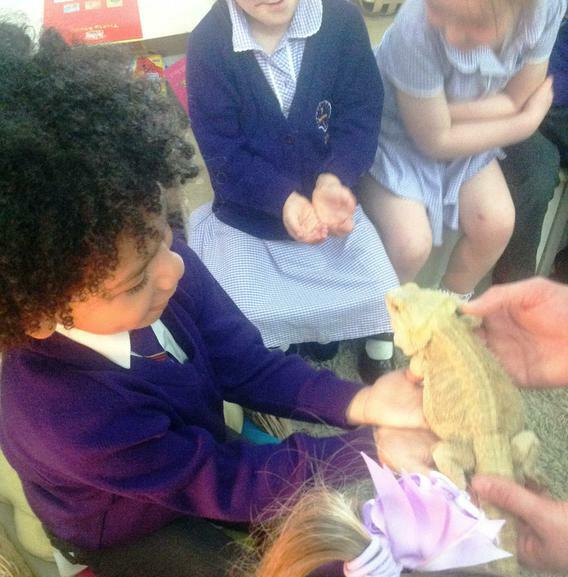 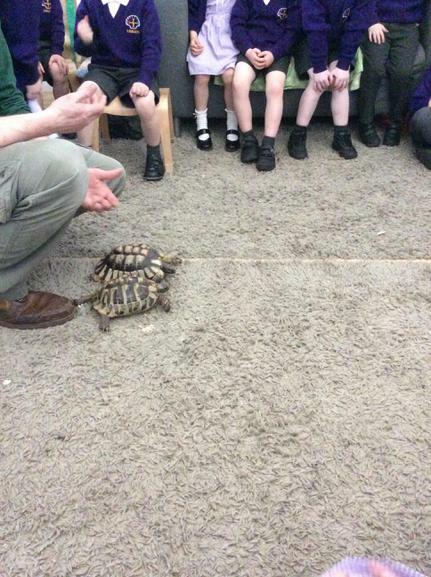 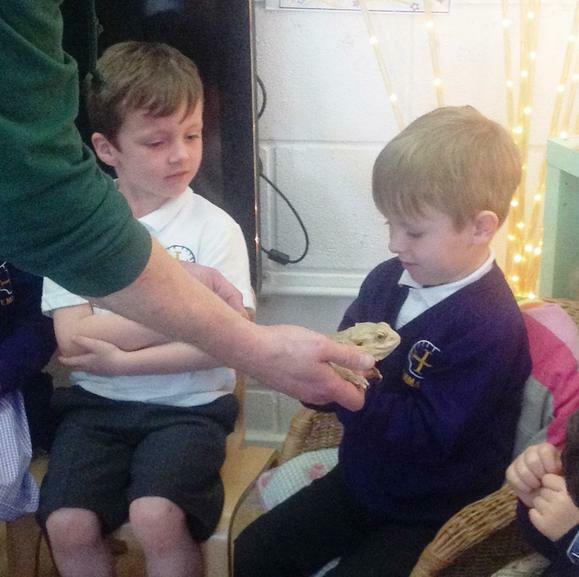 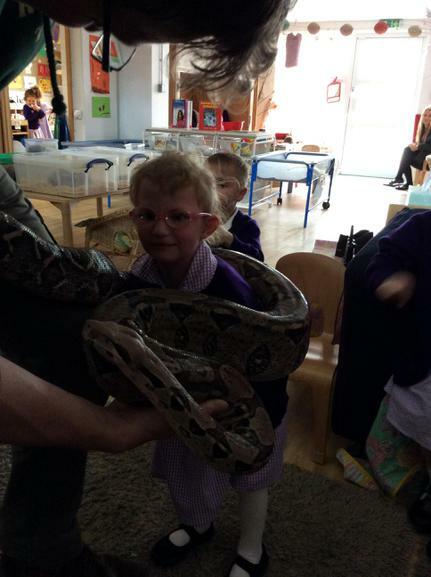 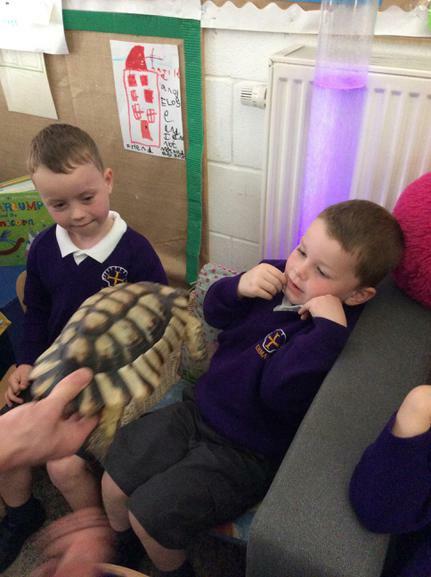 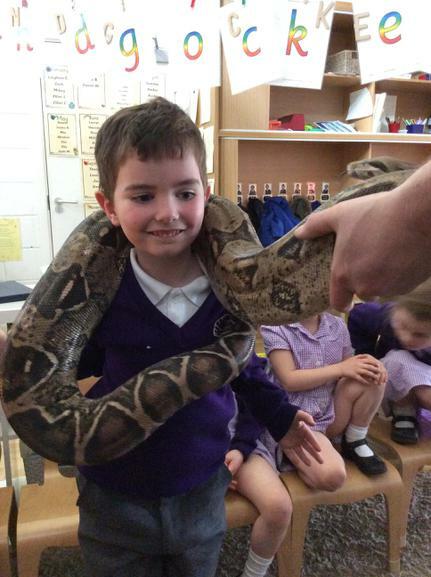 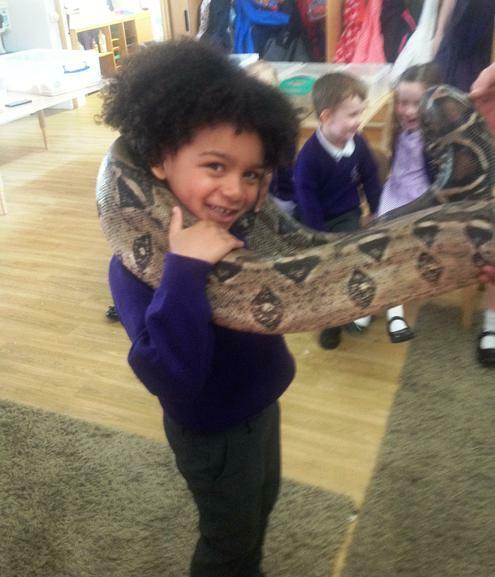 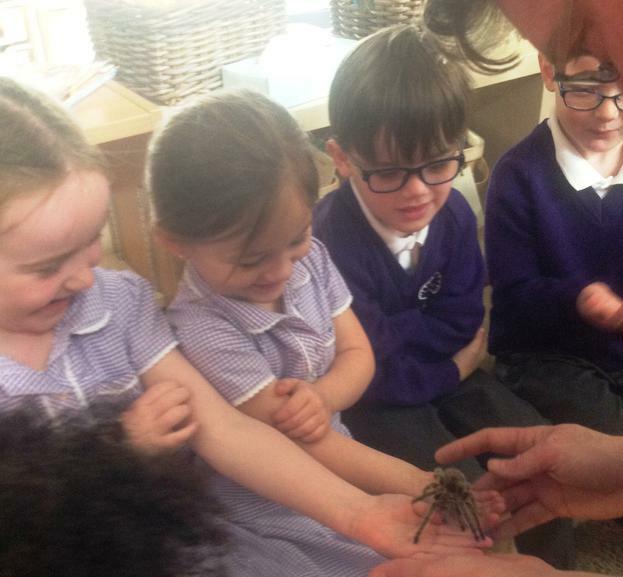 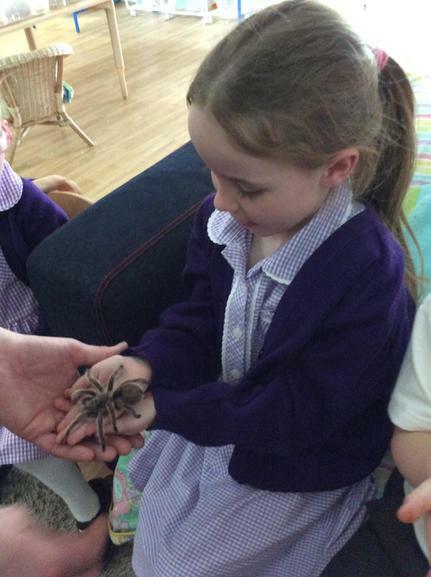 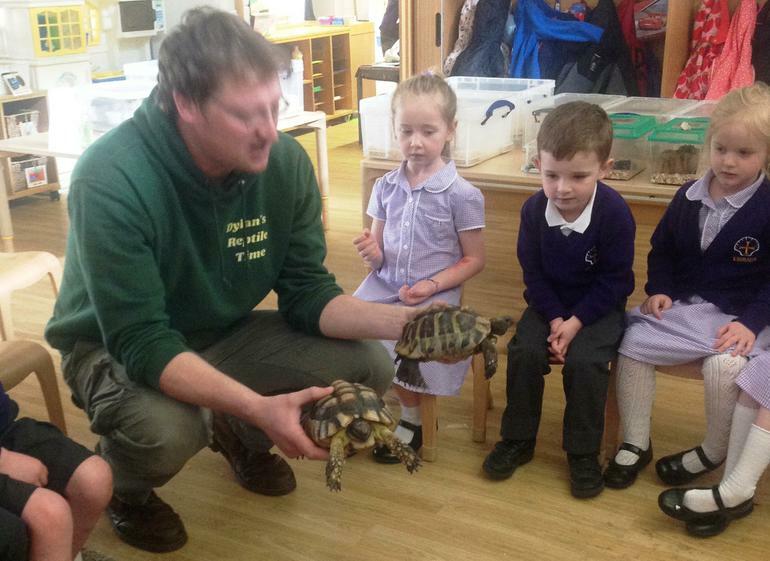 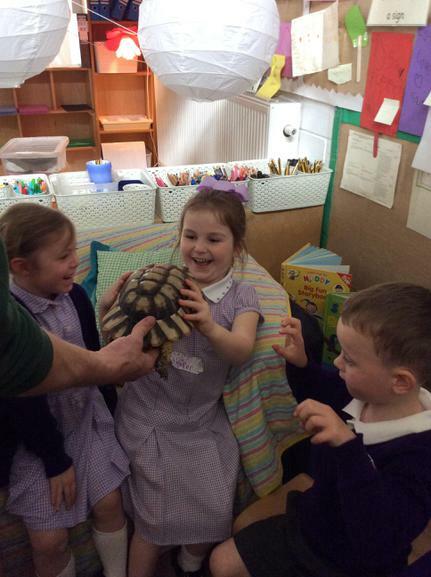 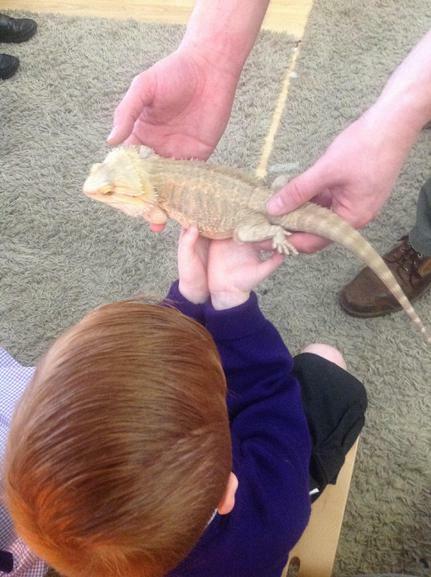 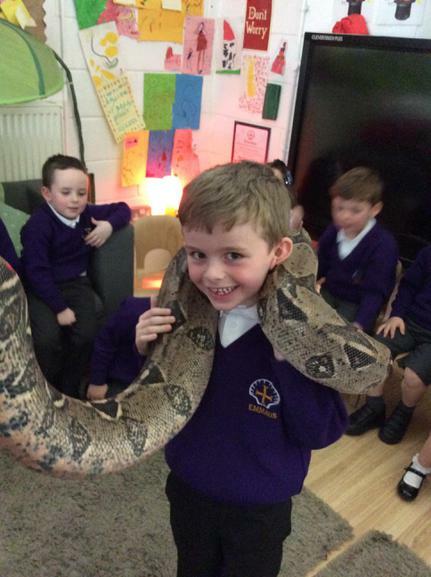 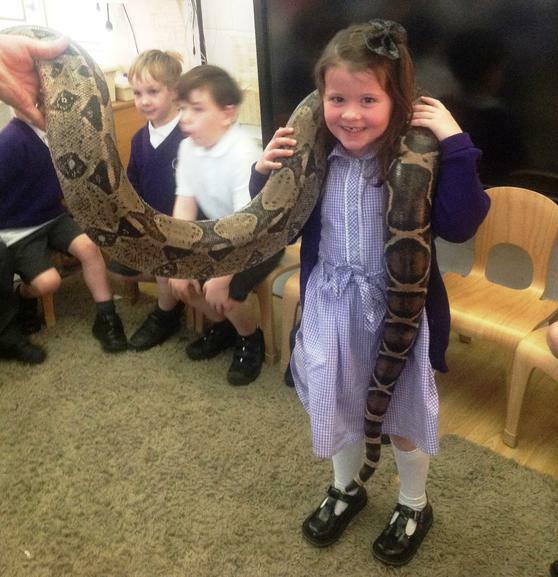 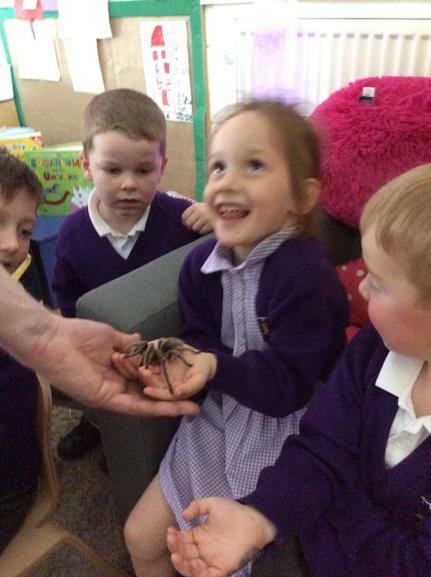 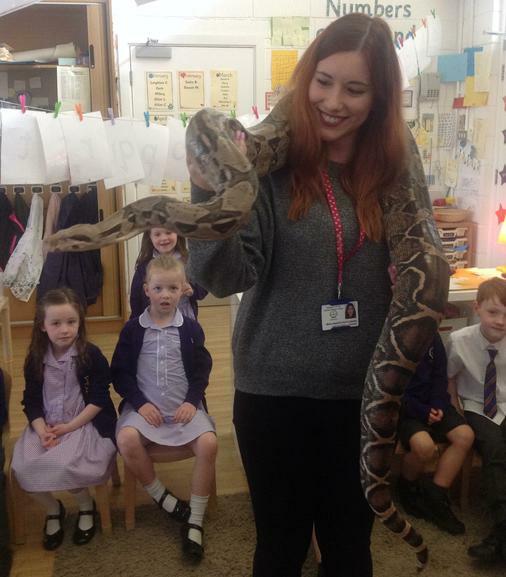 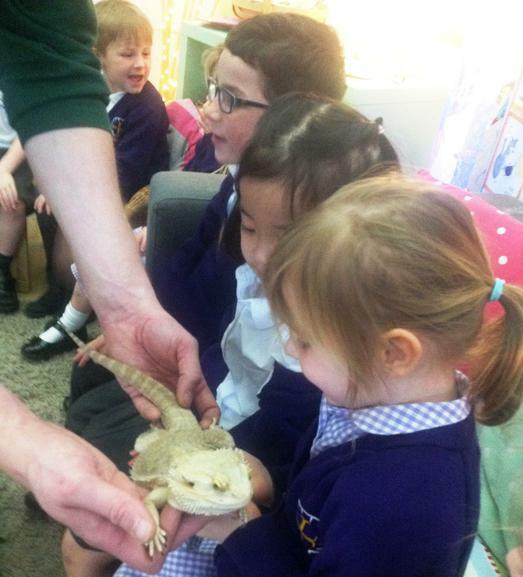 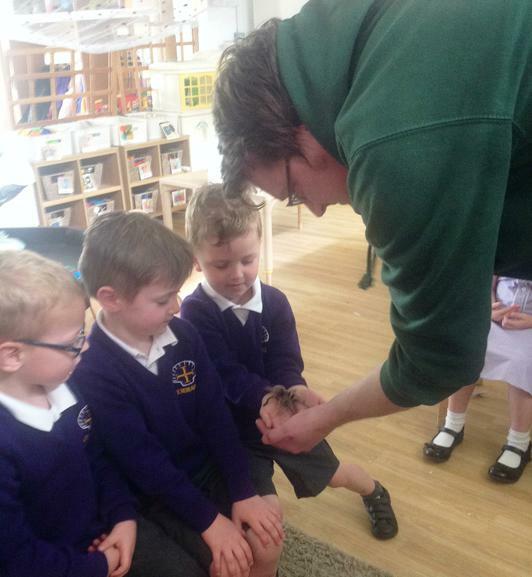 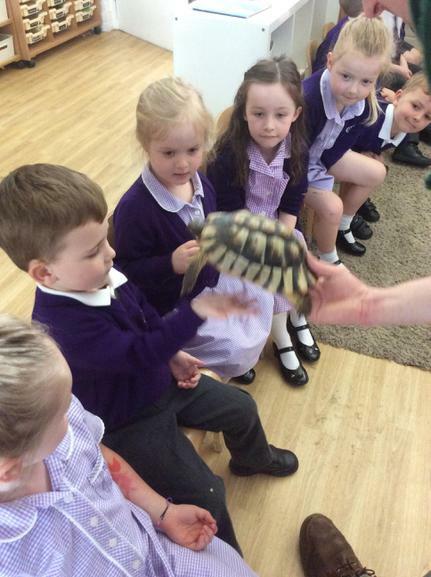 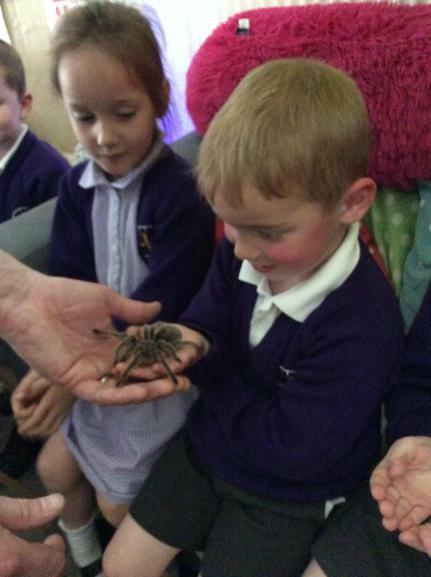 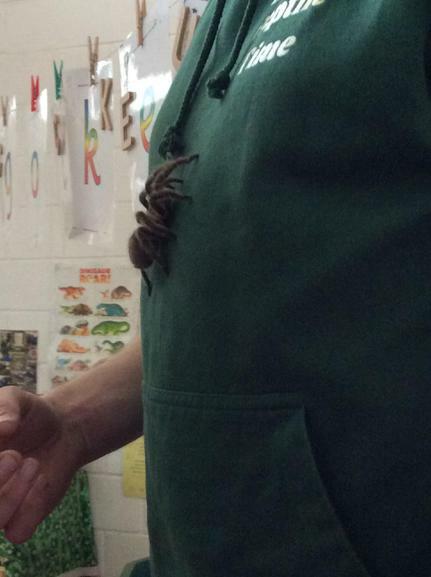 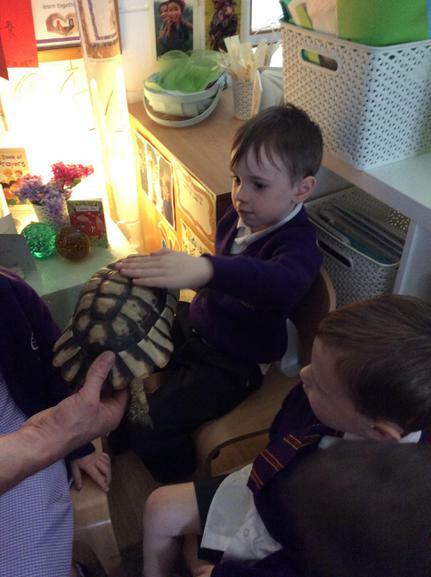 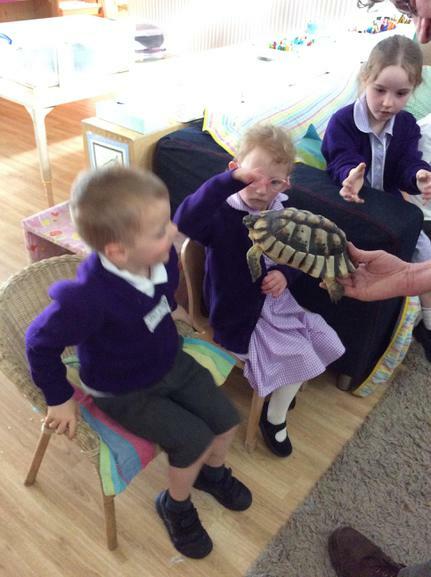 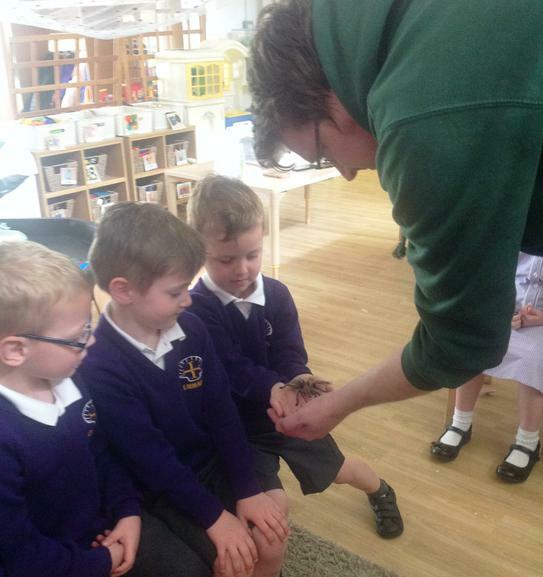 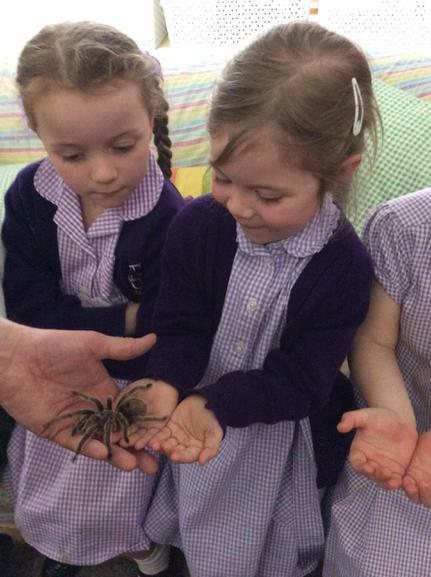 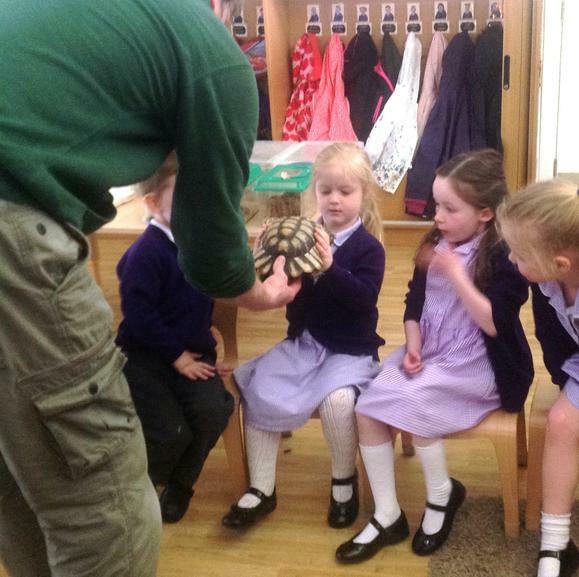 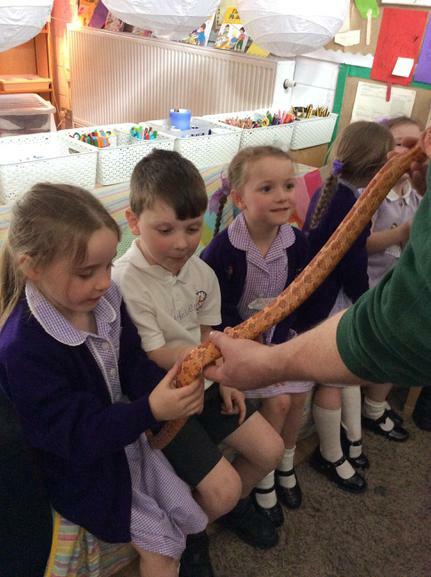 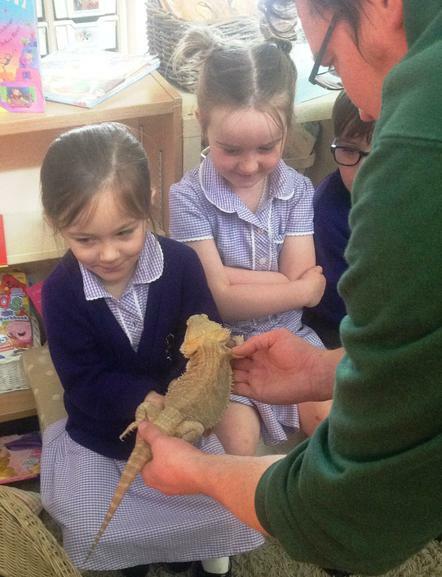 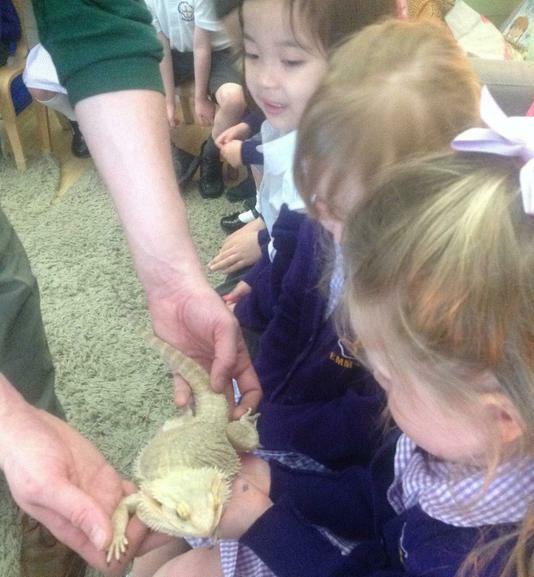 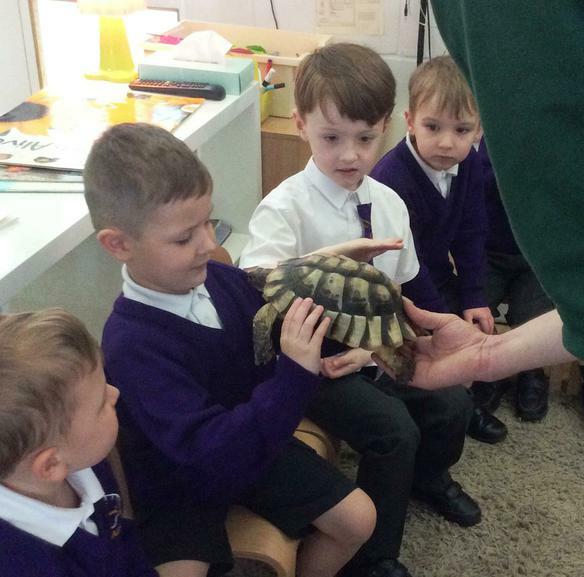 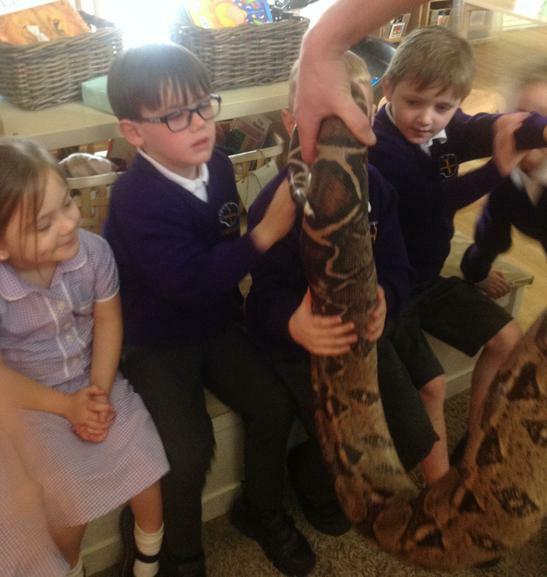 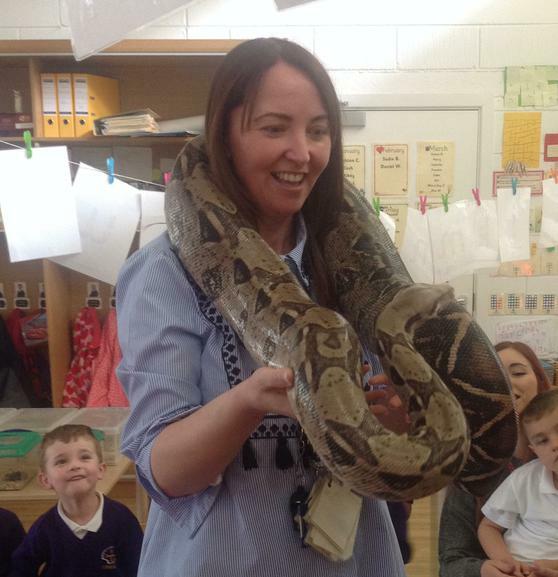 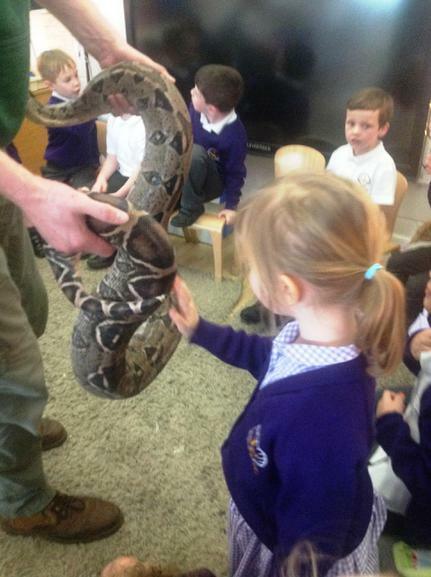 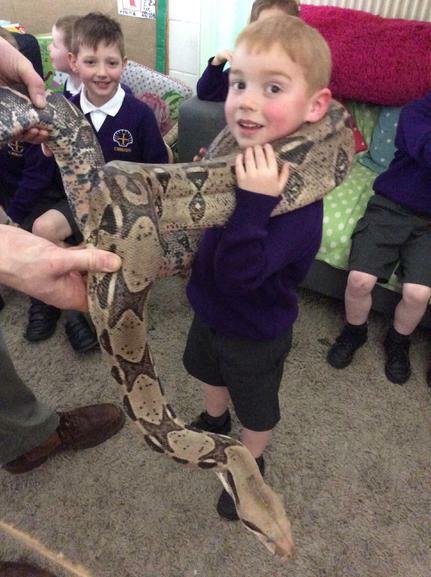 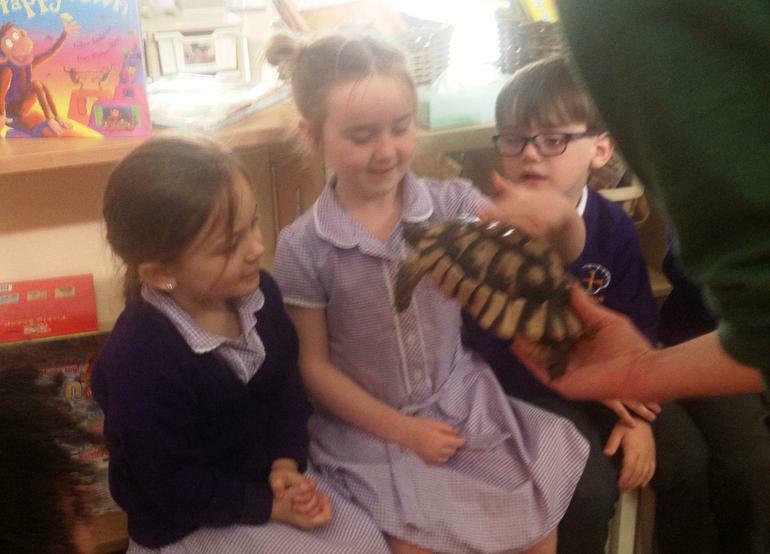 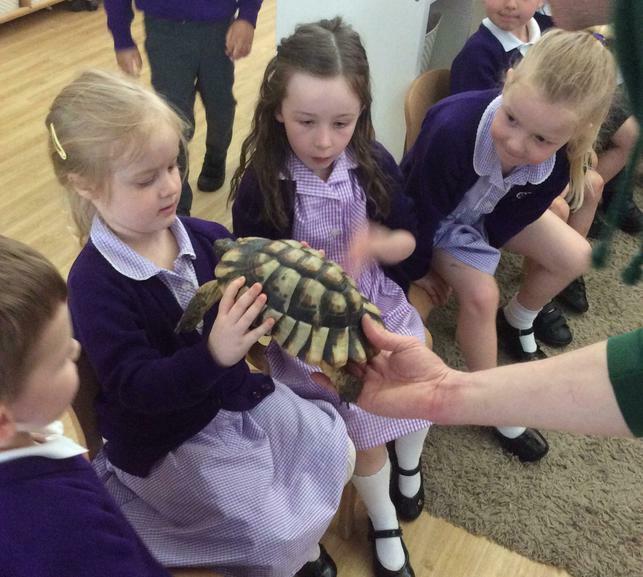 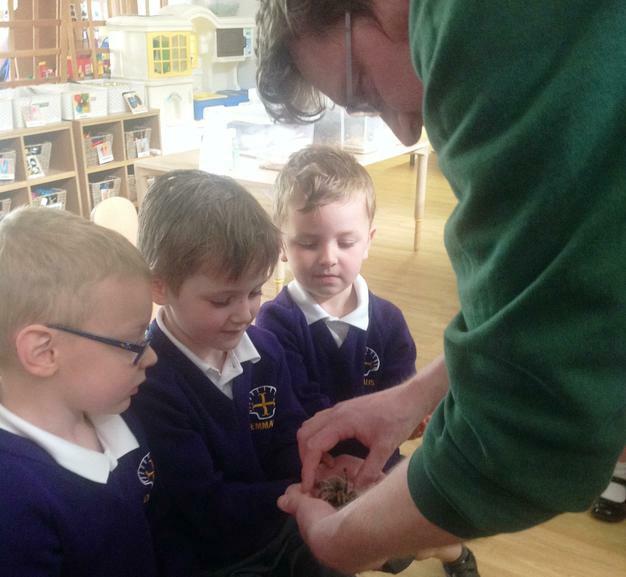 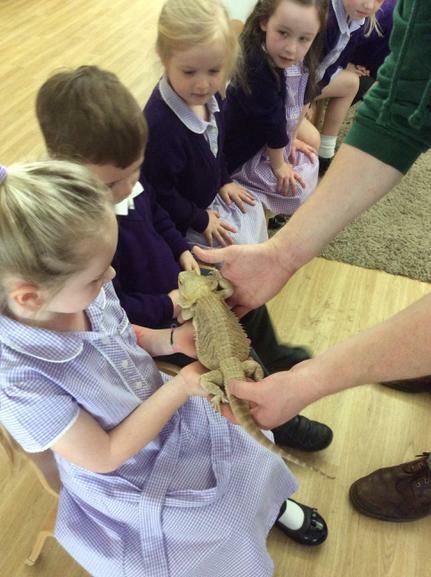 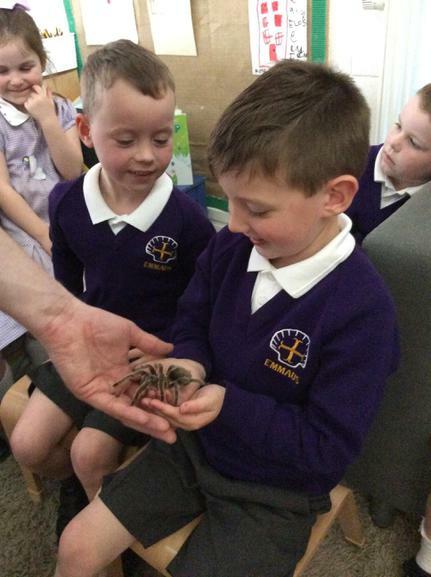 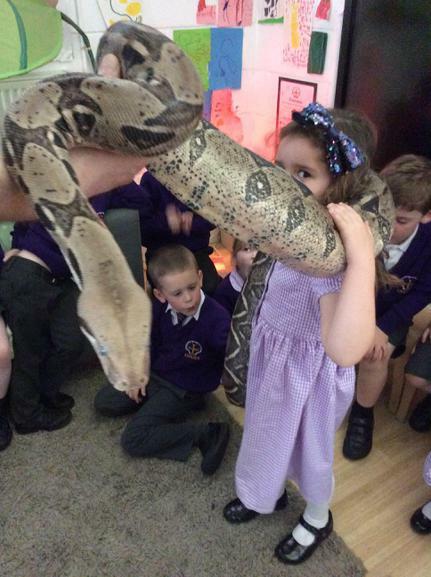 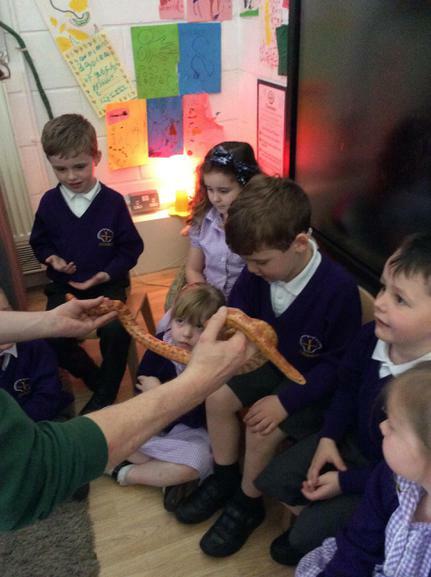 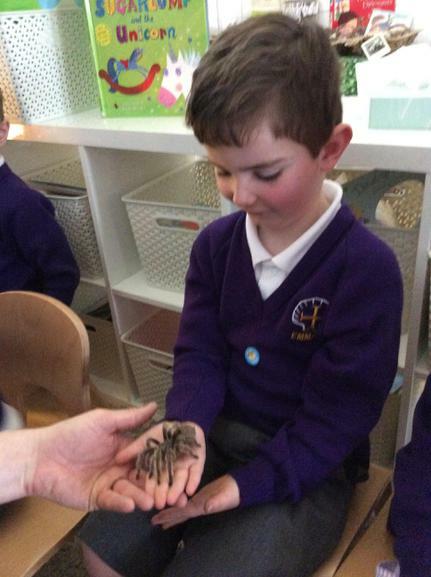 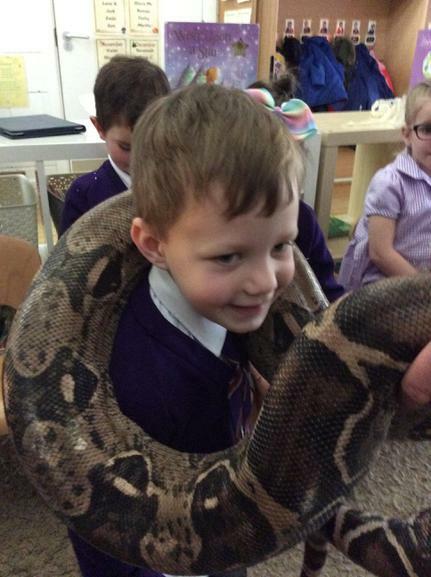 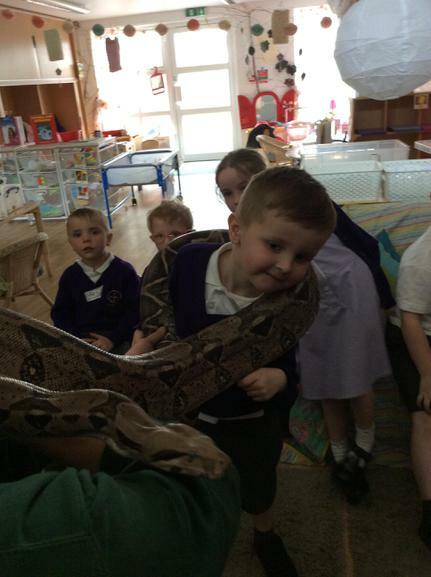 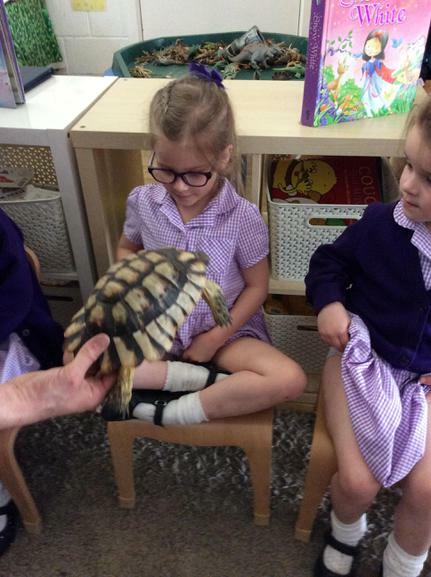 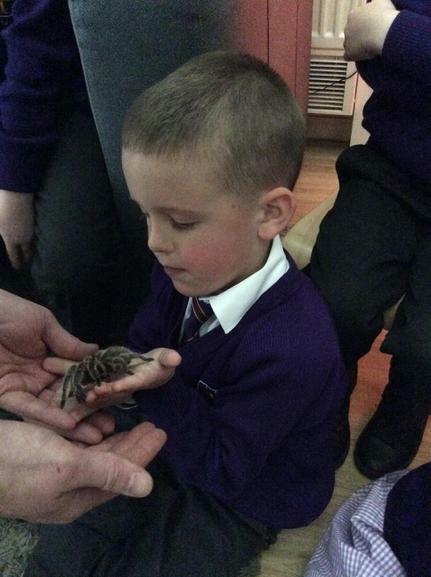 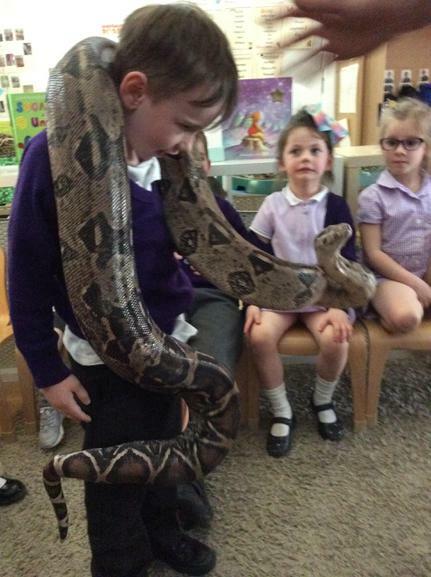 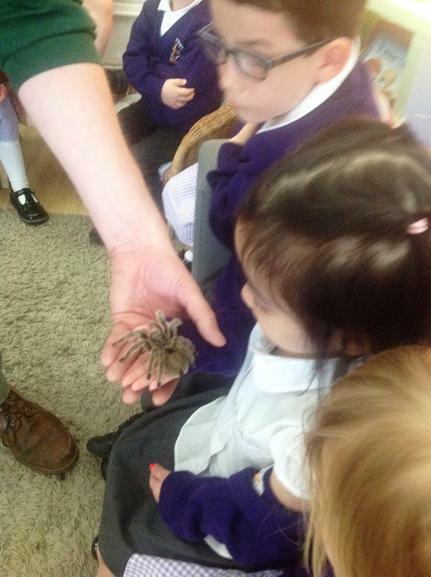 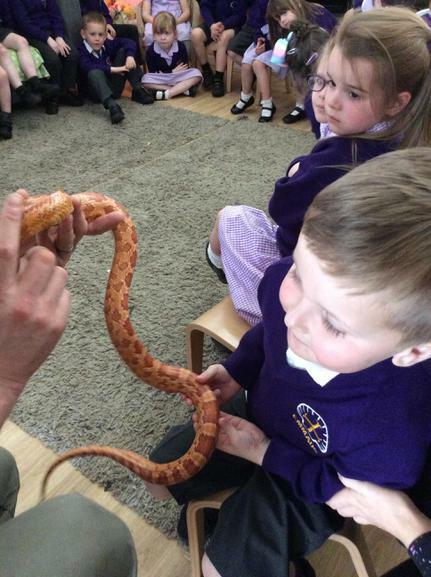 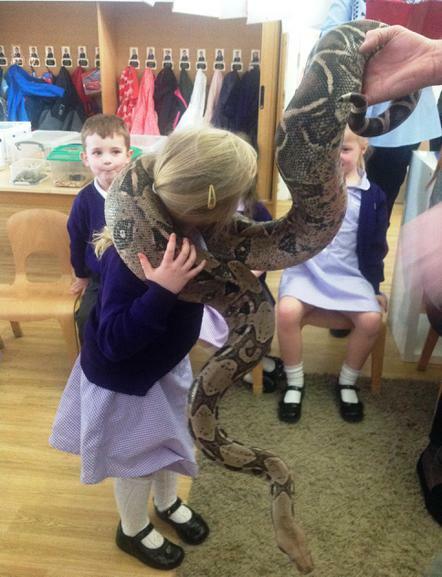 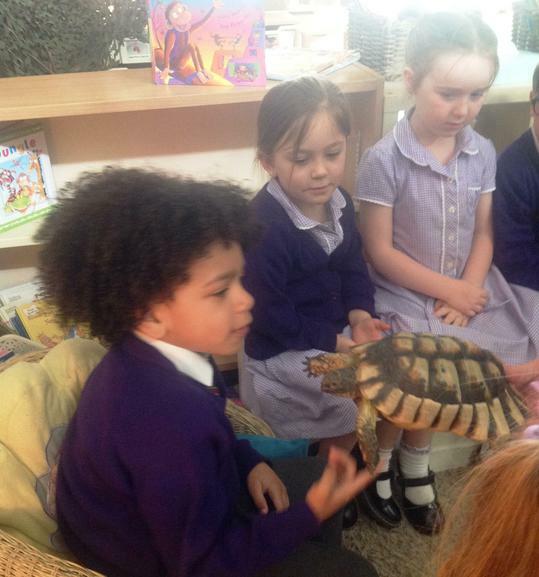 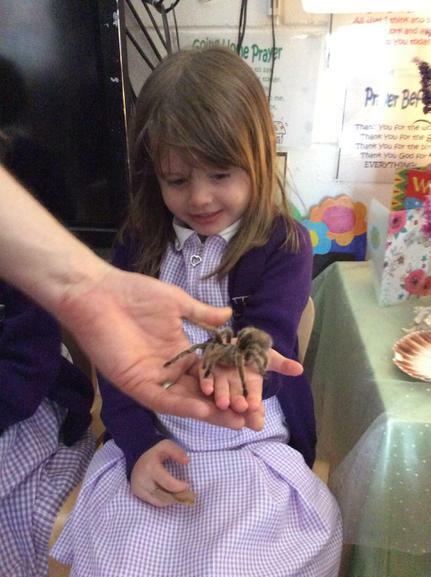 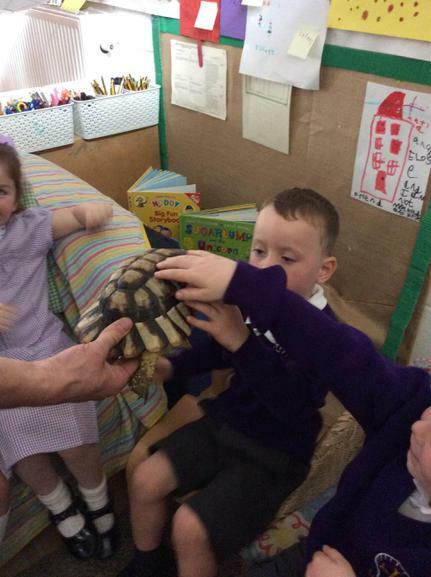 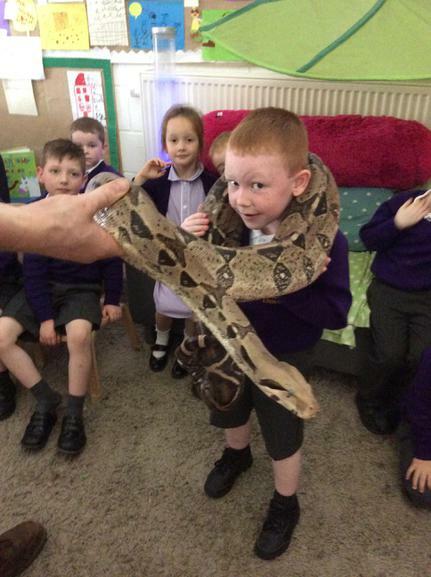 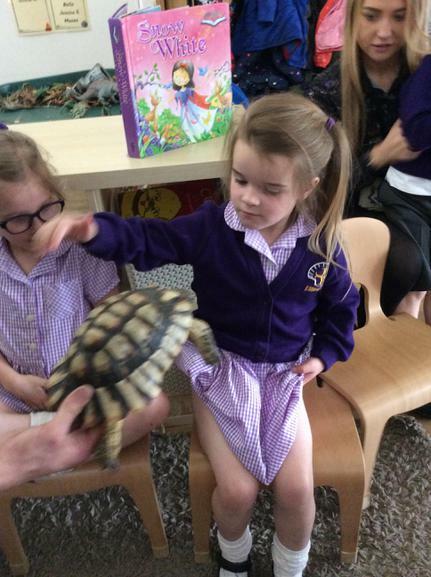 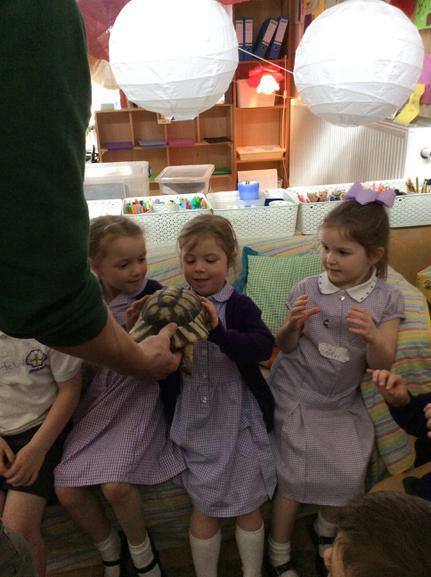 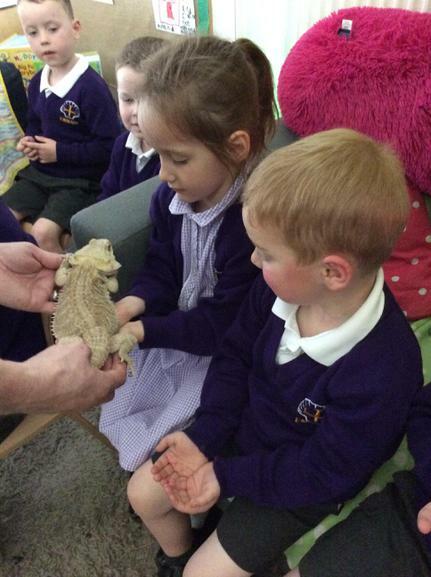 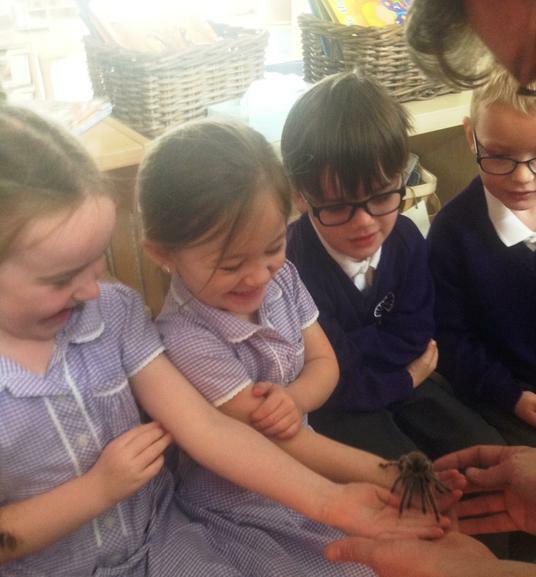 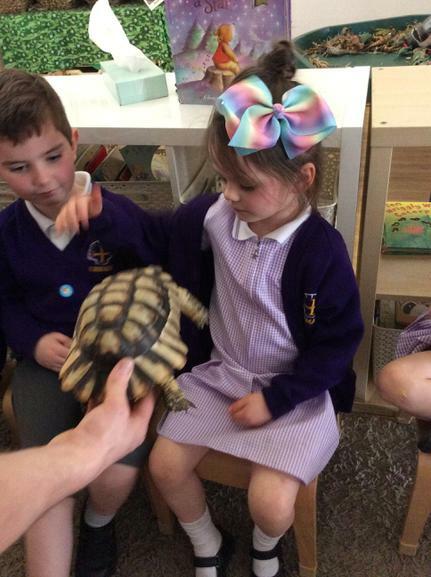 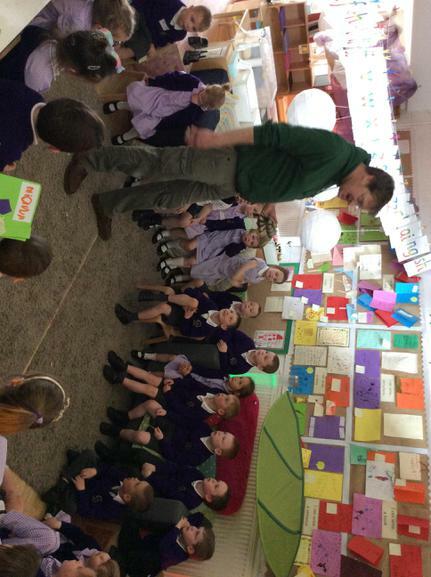 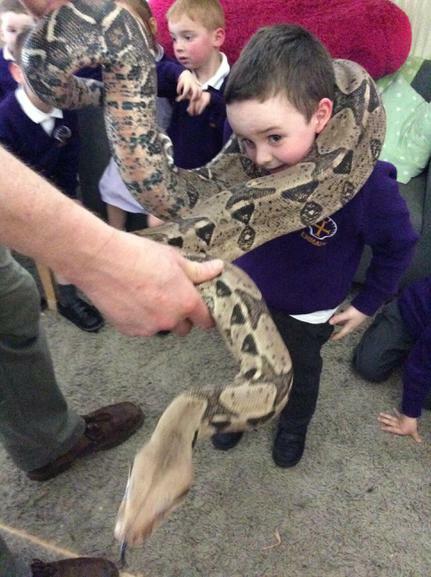 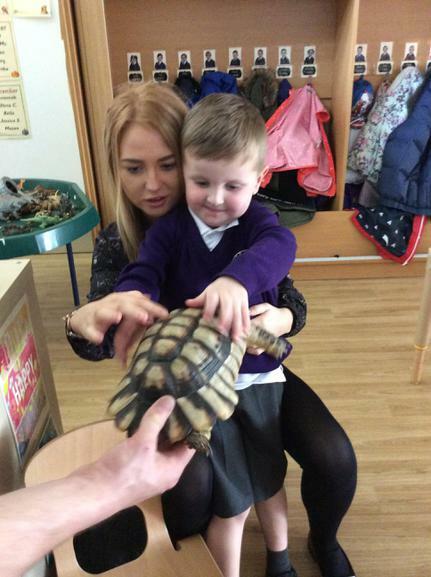 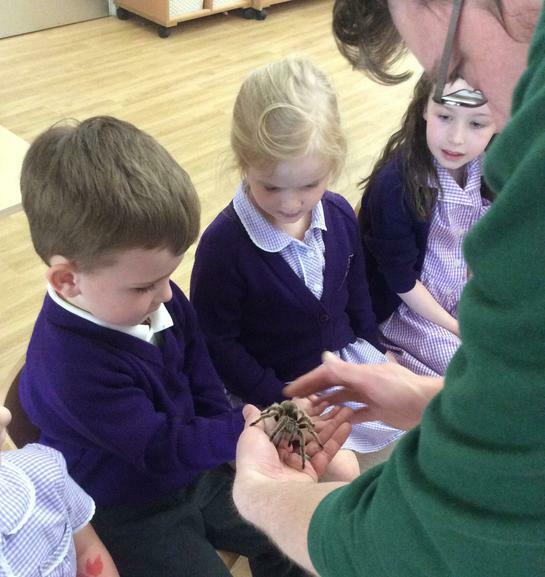 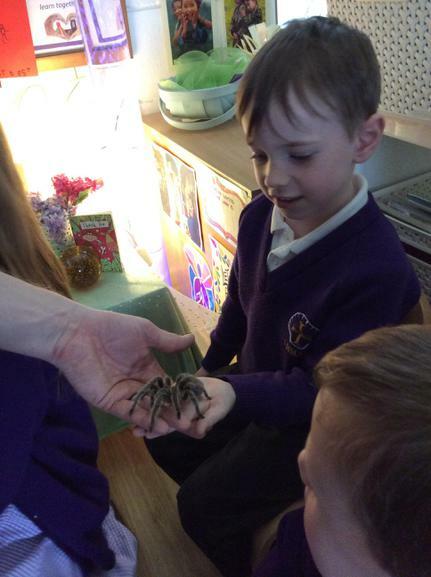 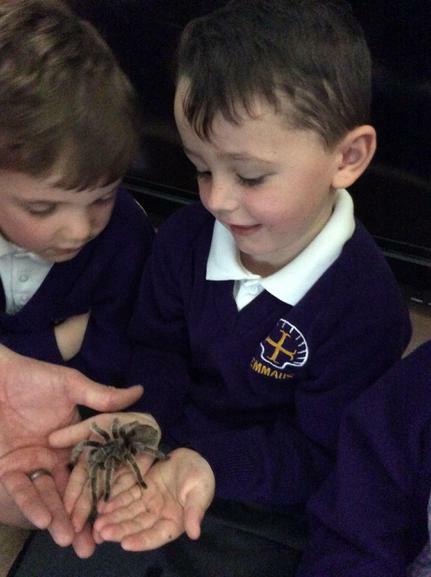 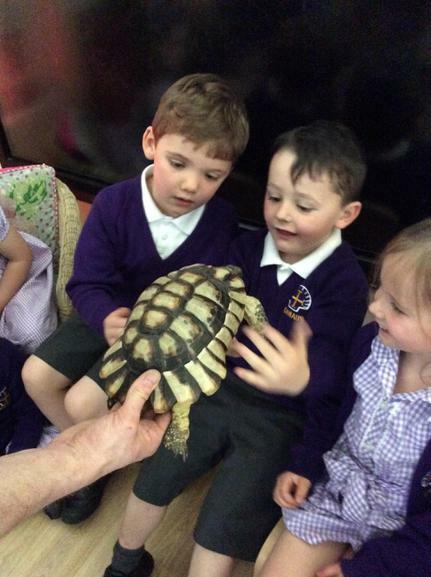 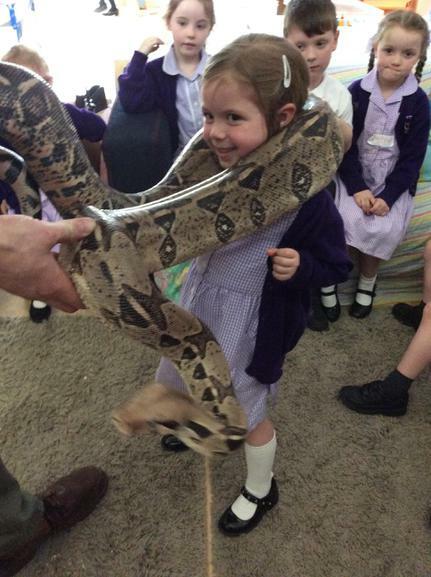 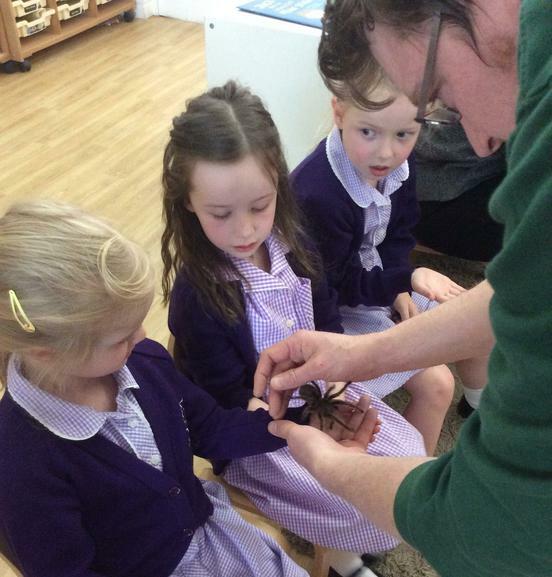 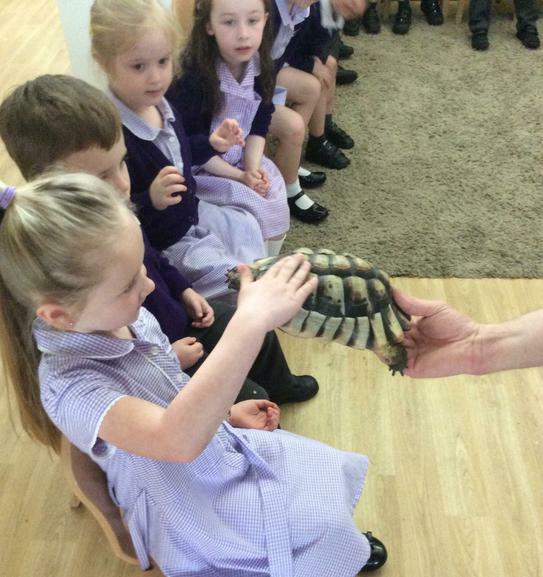 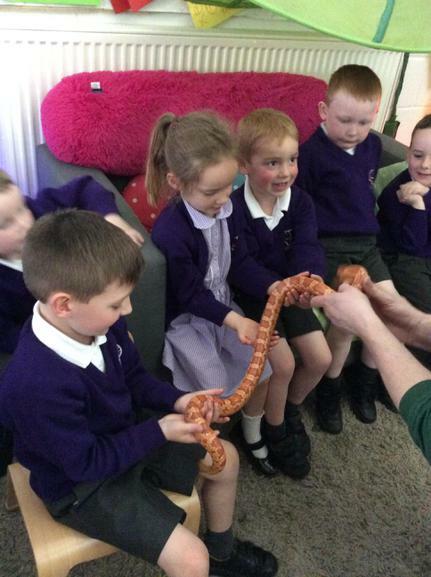 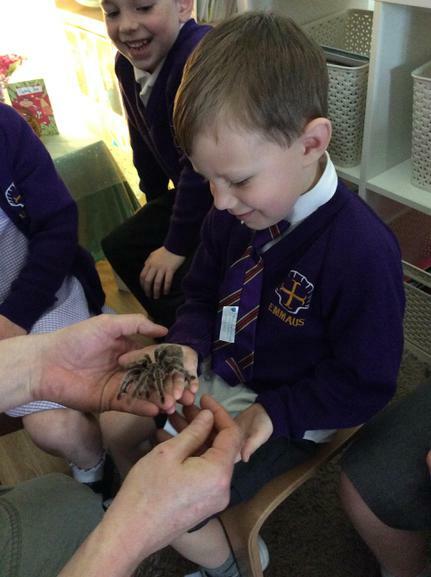 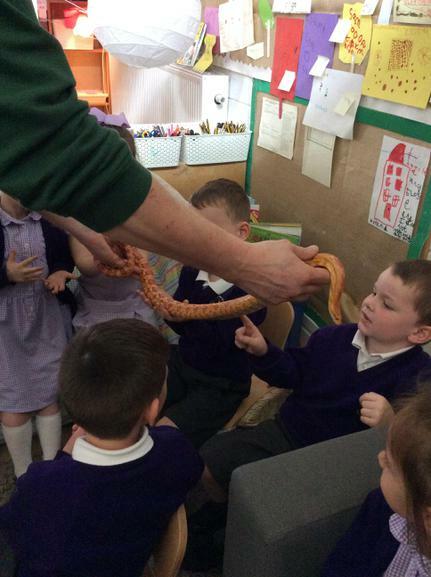 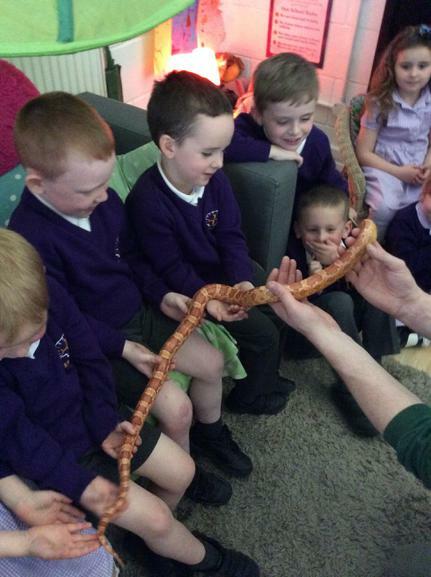 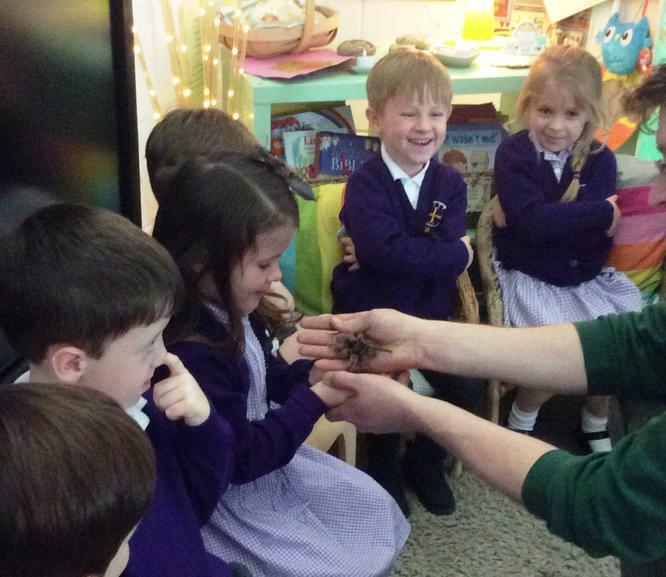 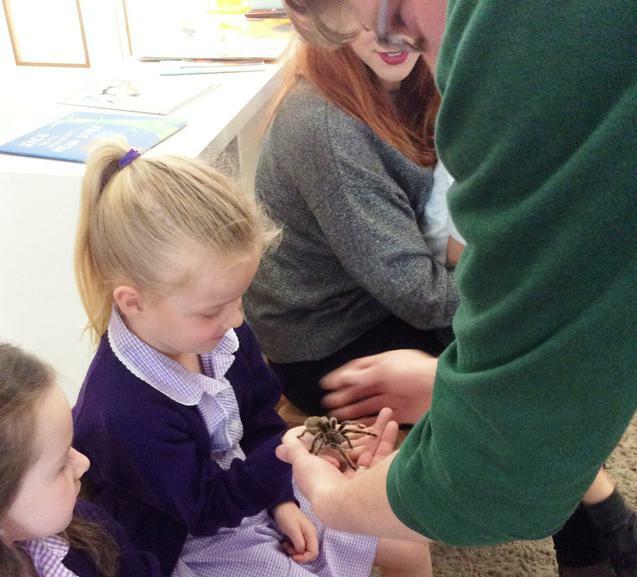 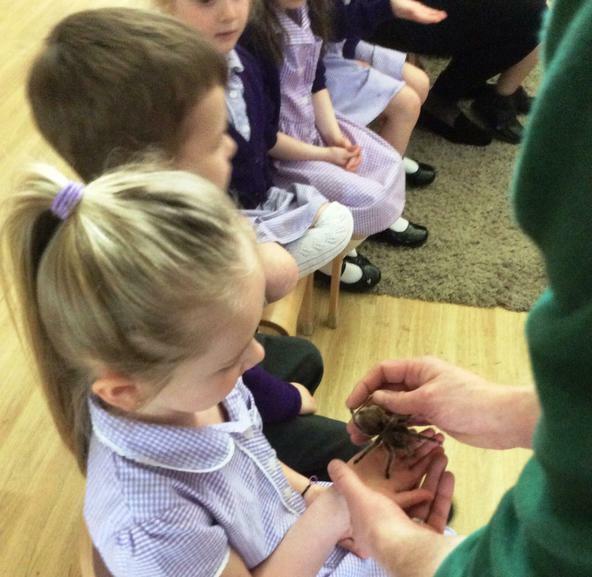 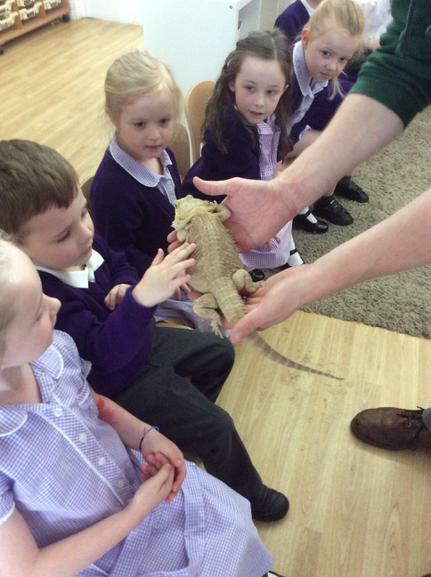 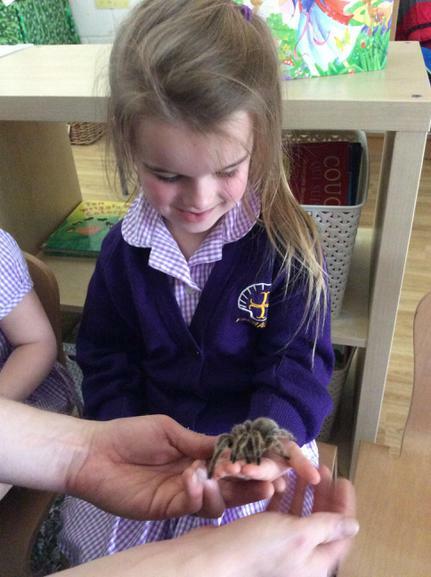 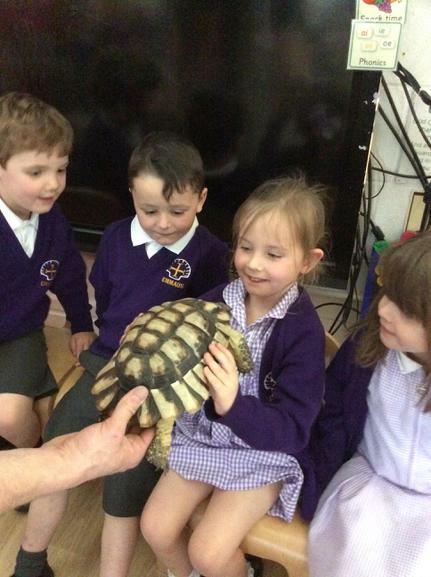 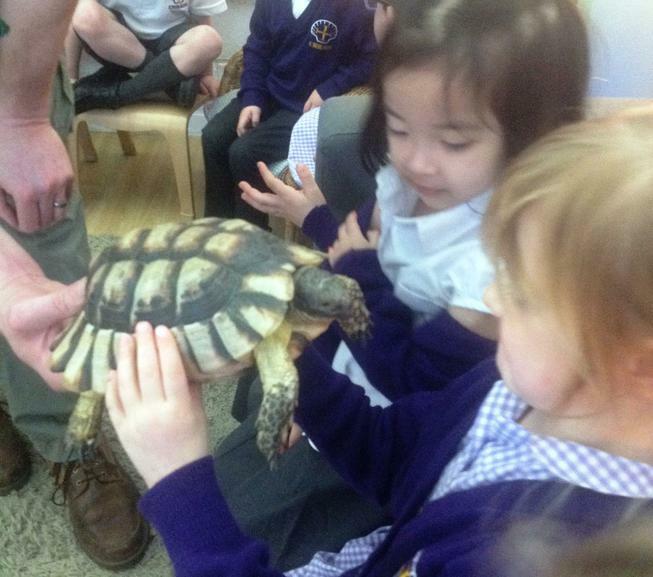 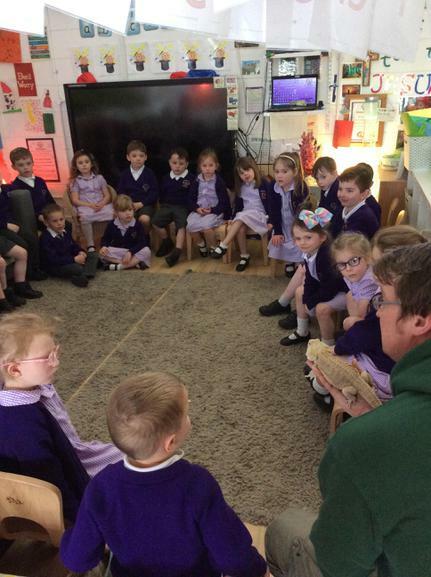 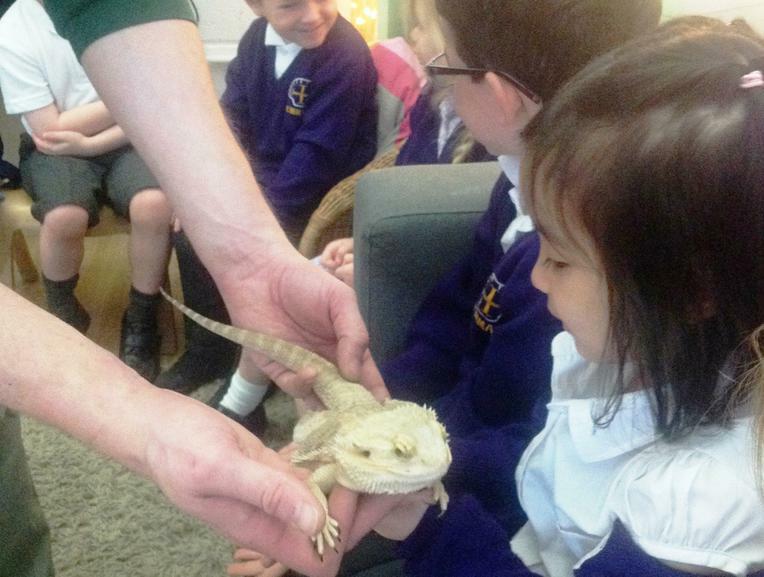 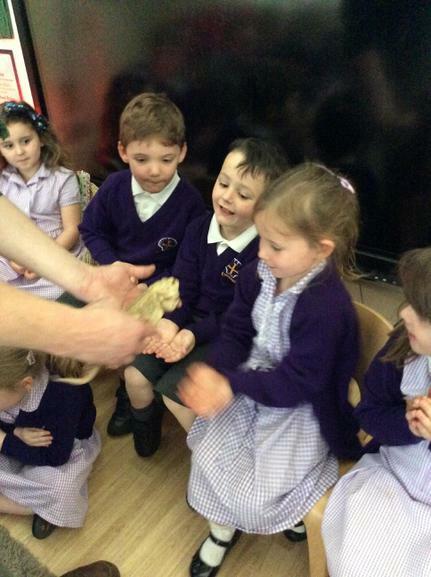 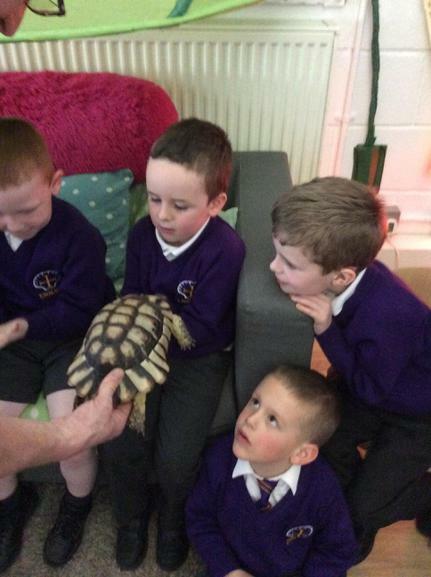 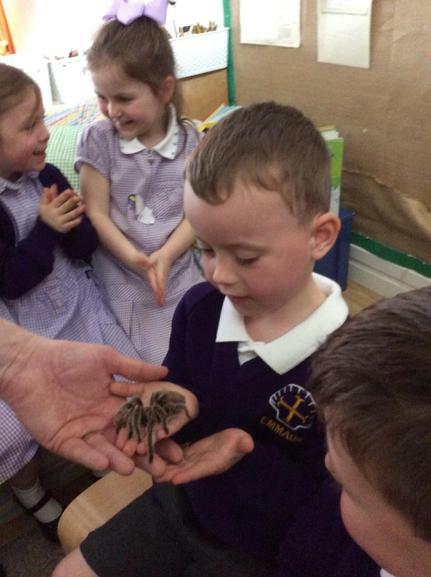 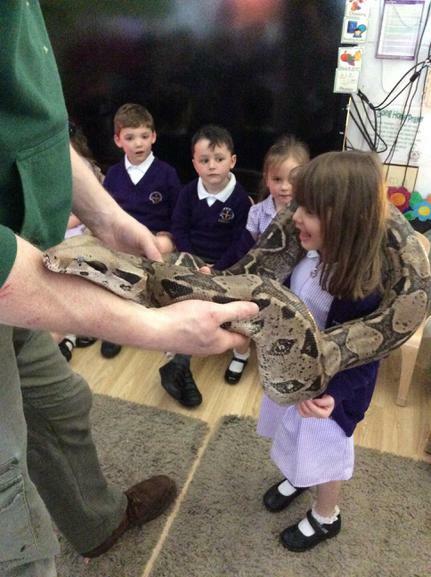 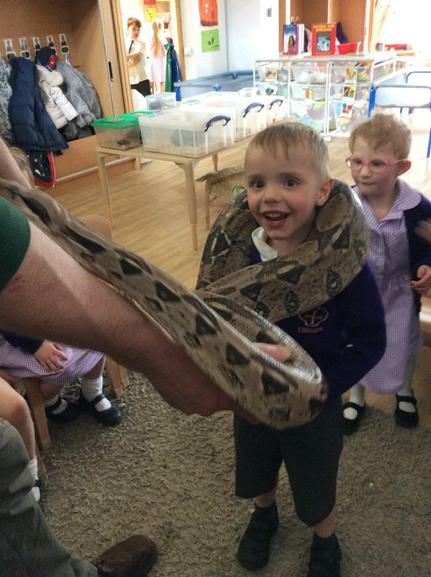 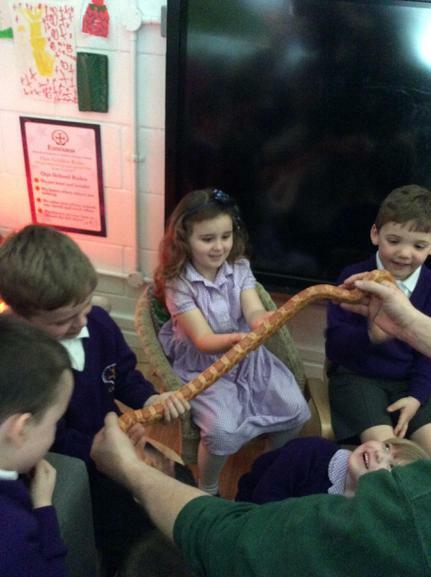 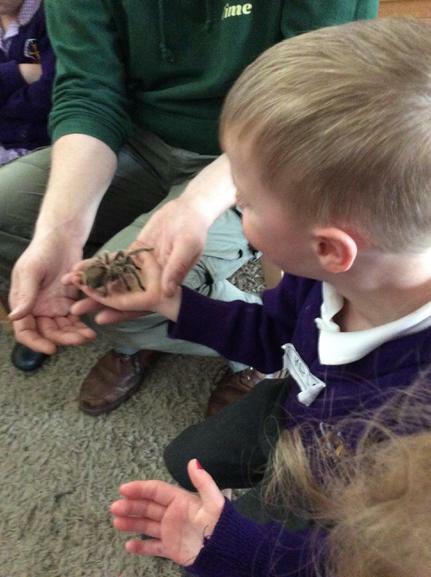 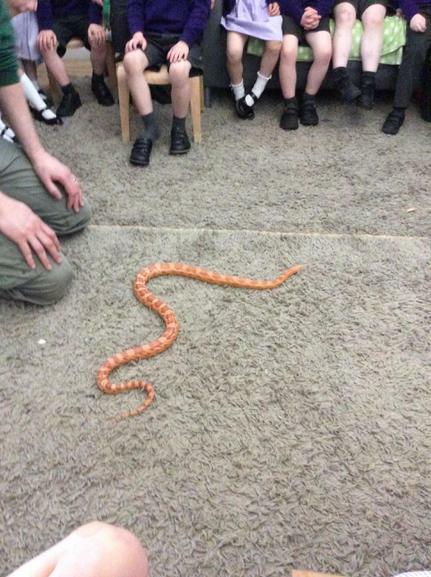 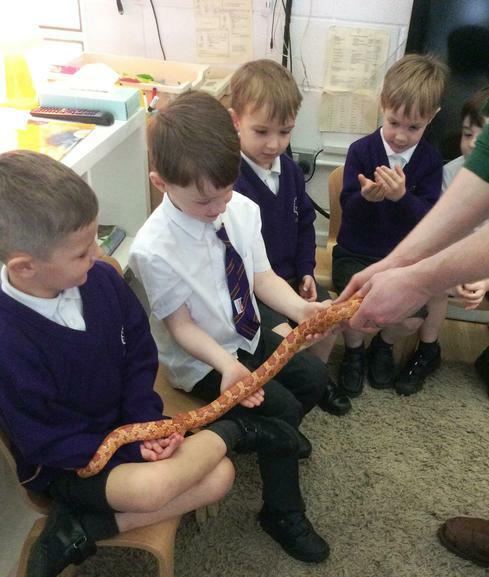 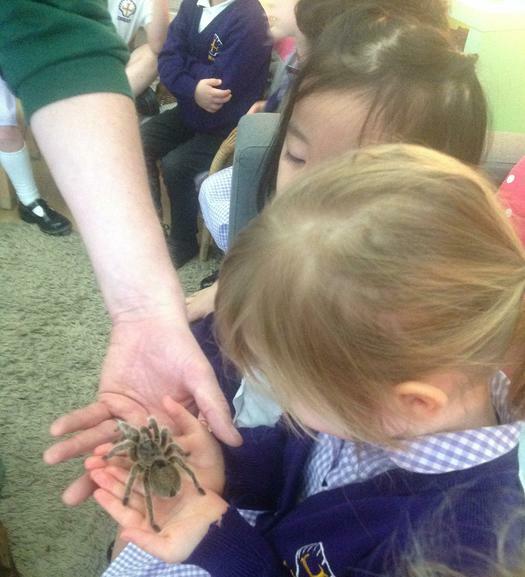 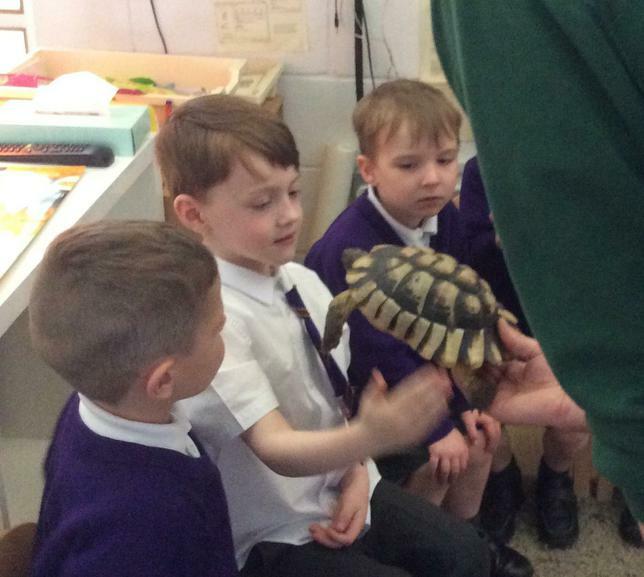 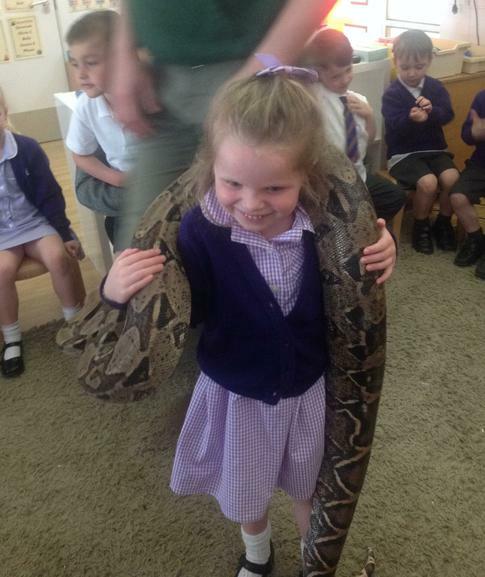 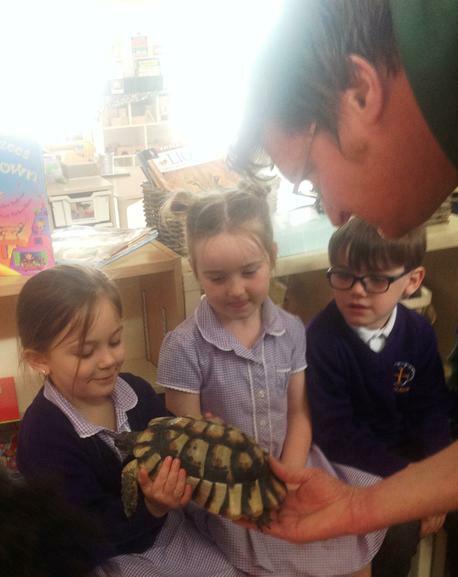 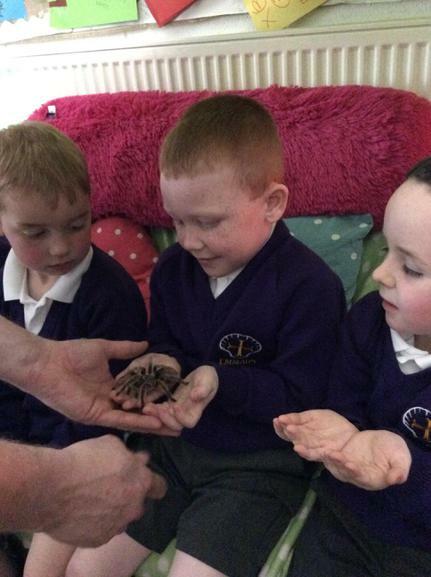 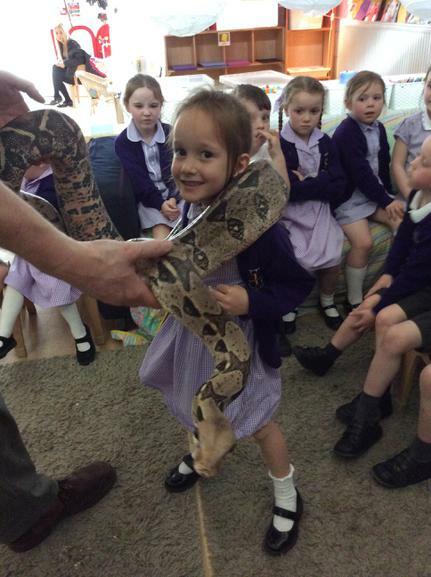 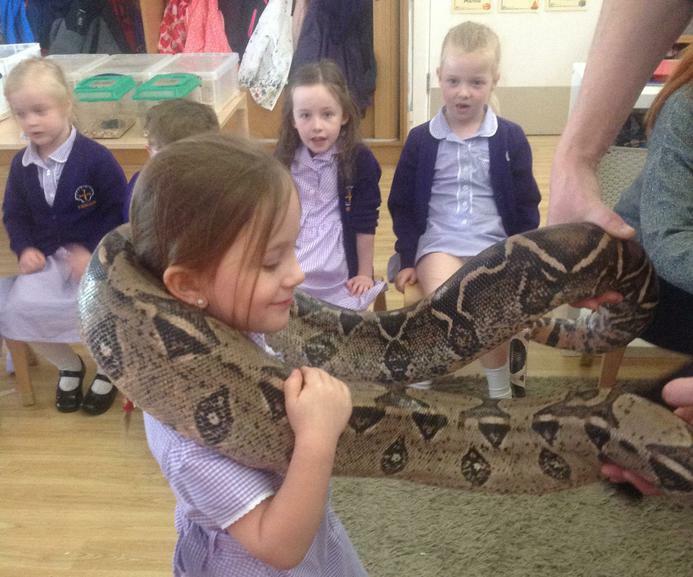 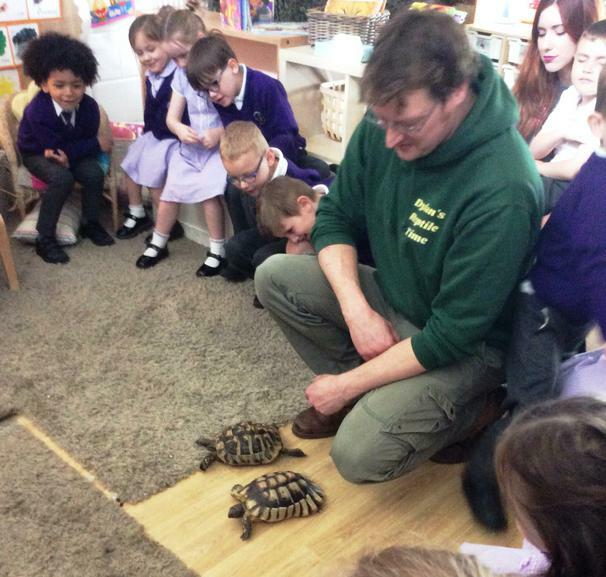 As we learn all about 'living things', Dylan Hicks visited this week, although he wasn't alone! 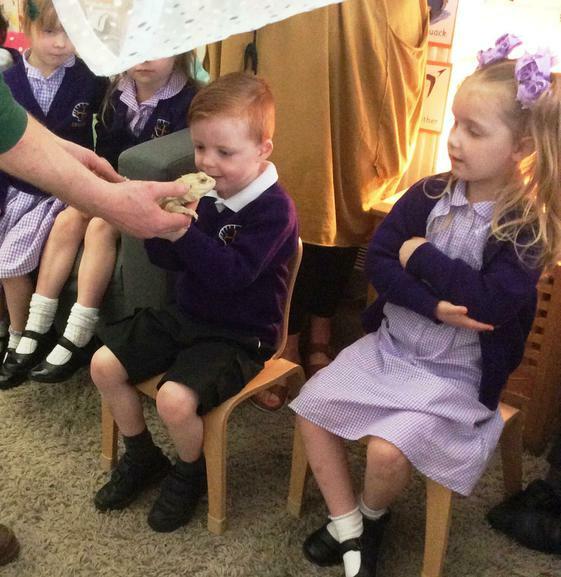 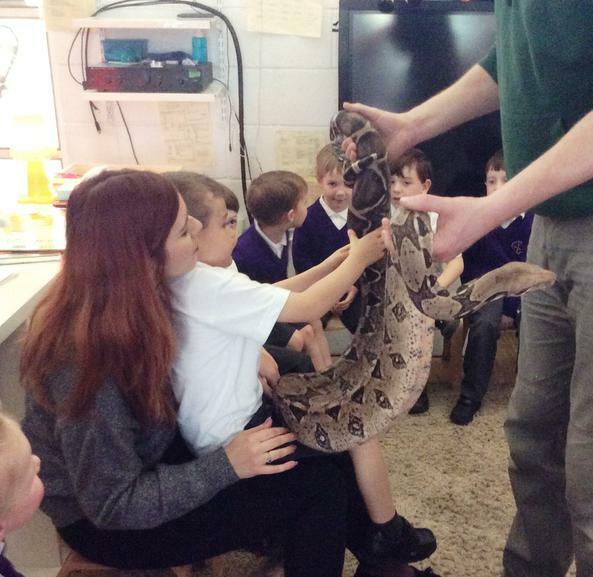 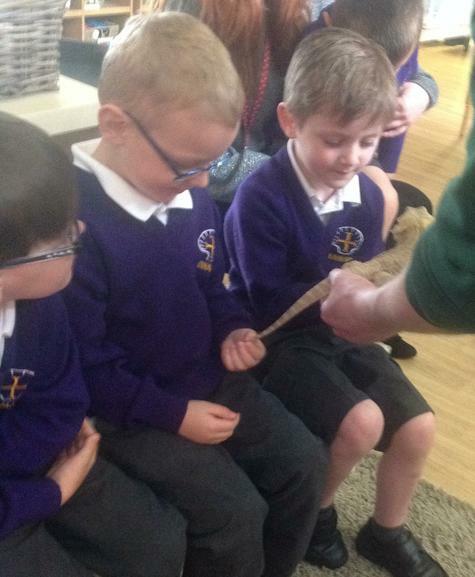 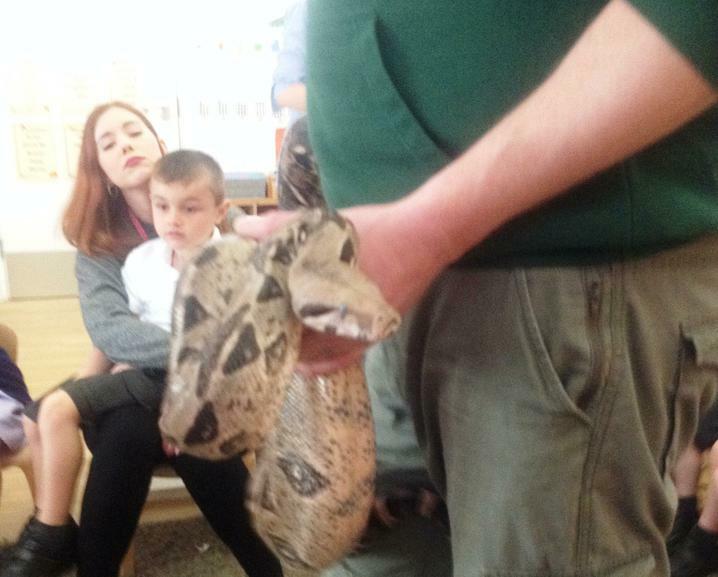 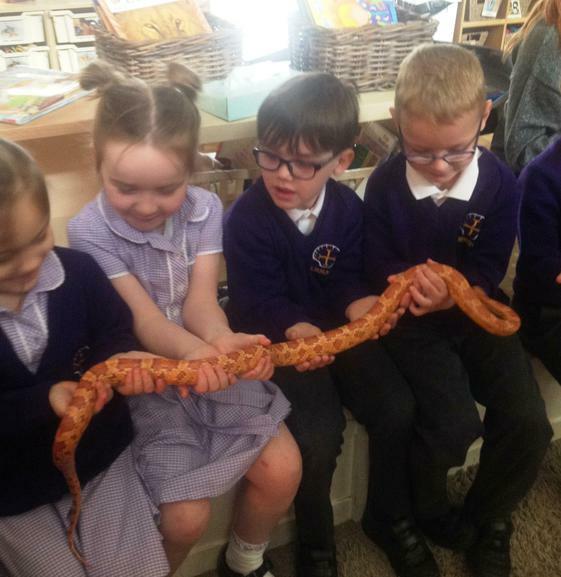 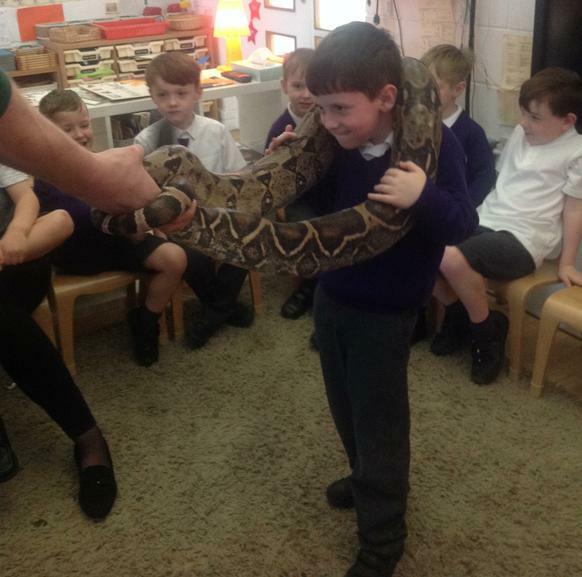 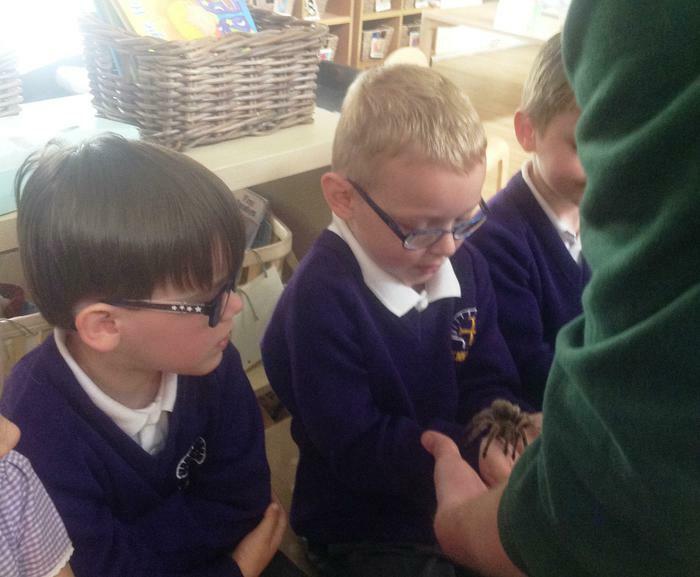 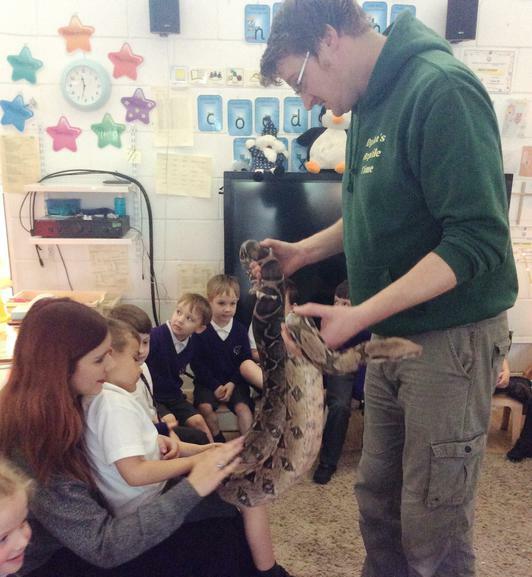 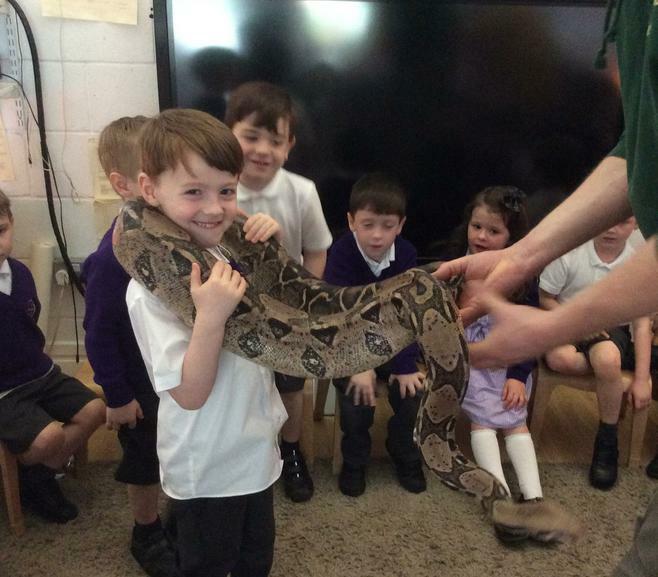 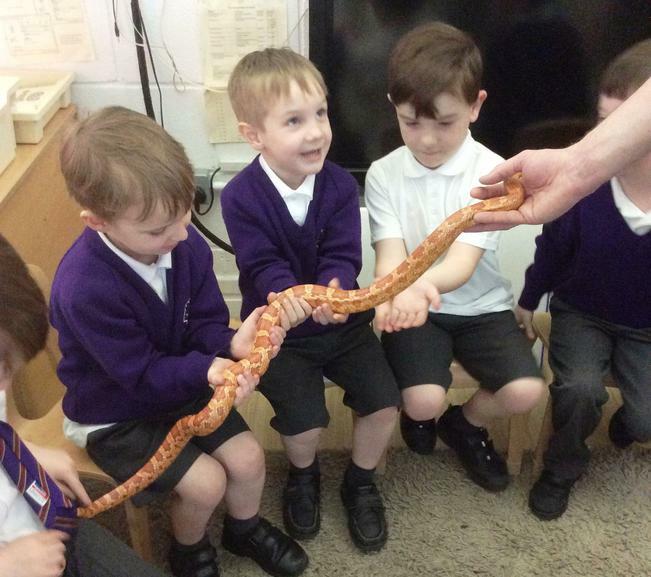 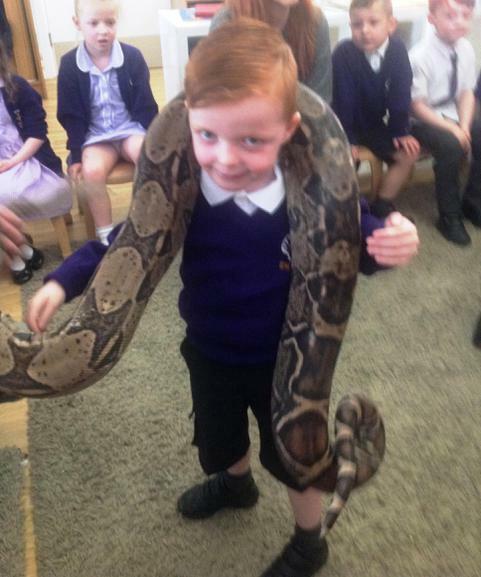 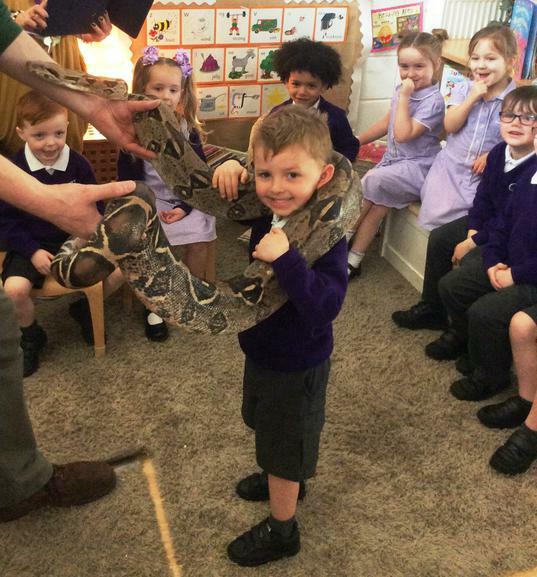 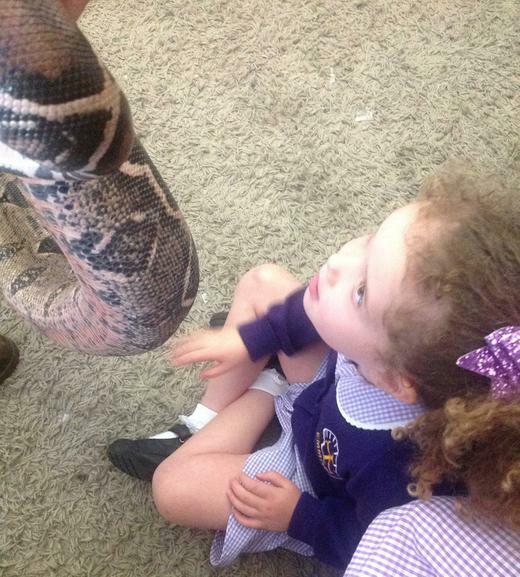 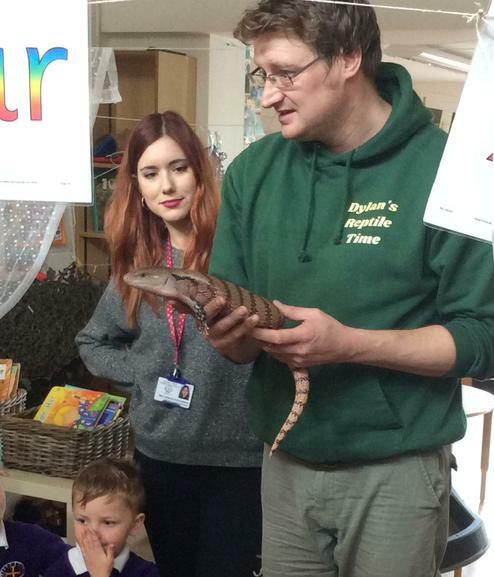 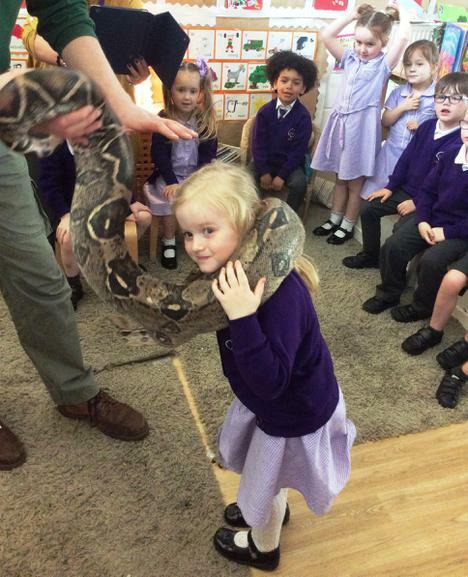 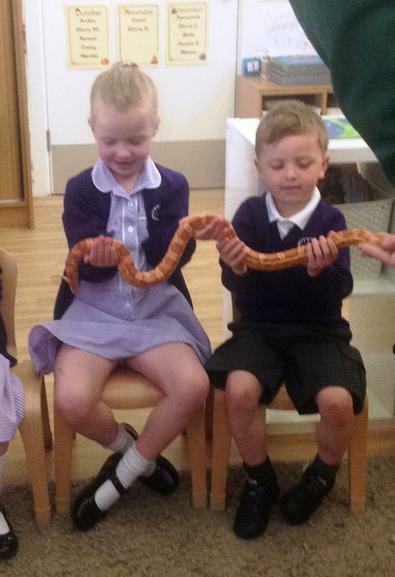 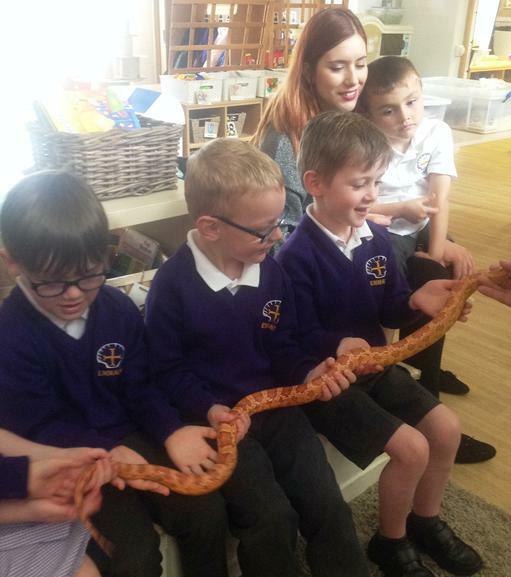 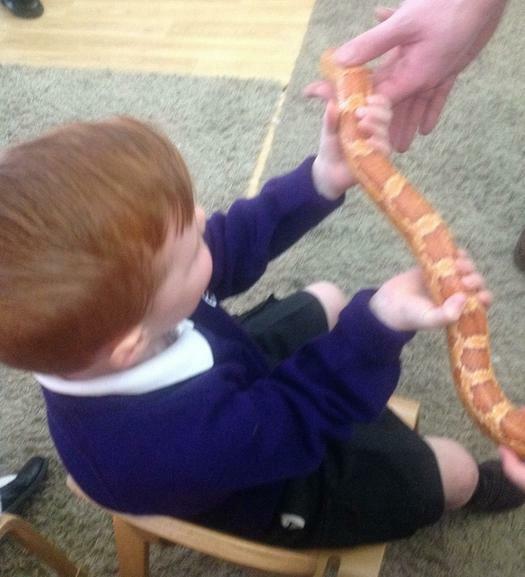 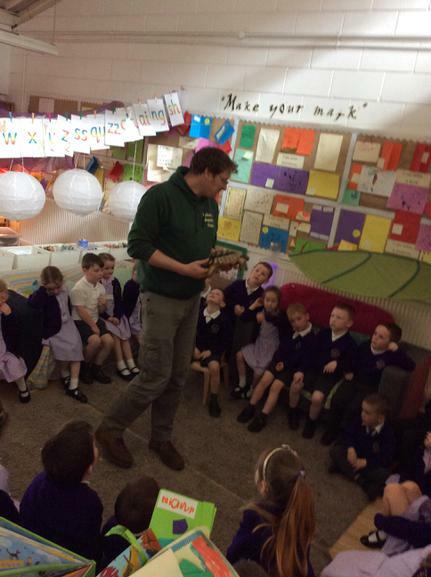 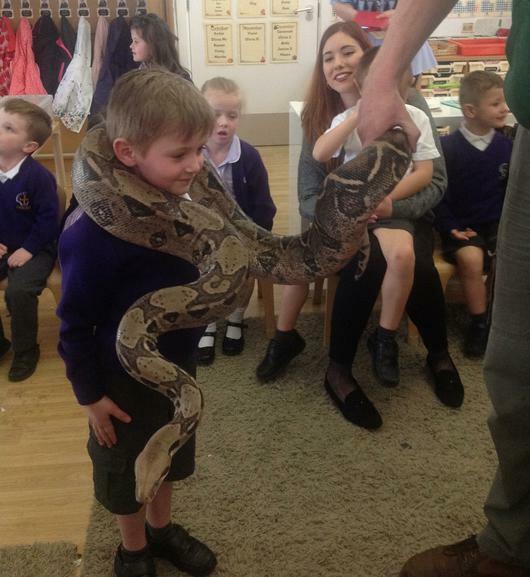 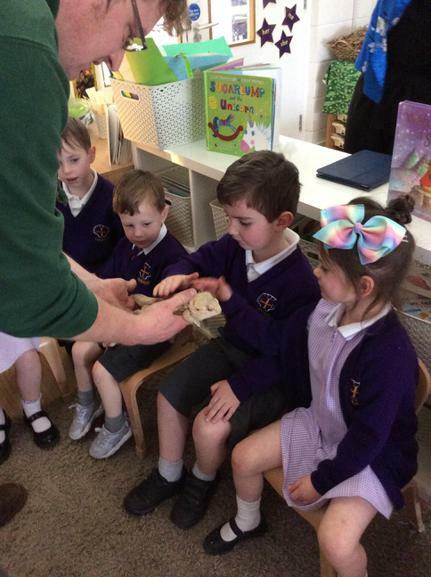 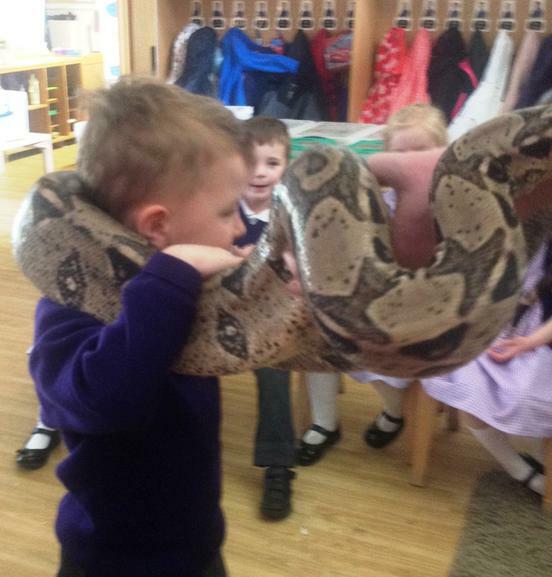 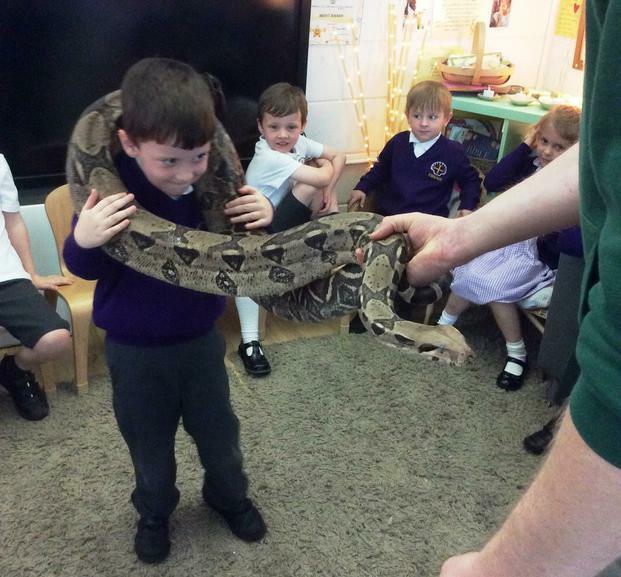 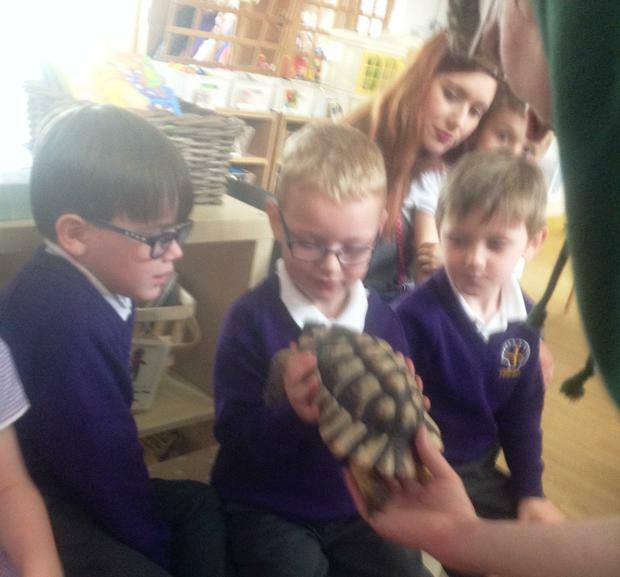 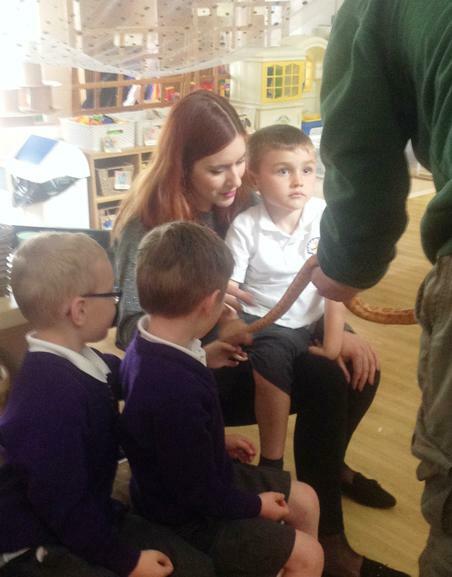 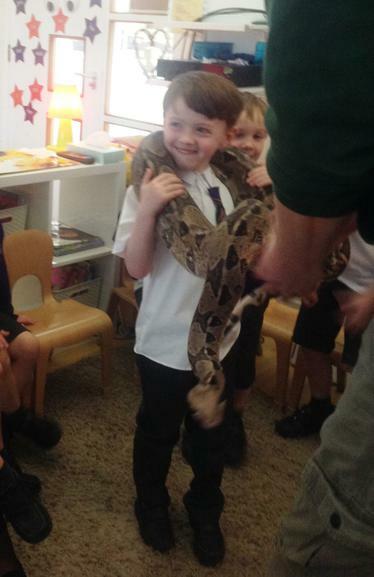 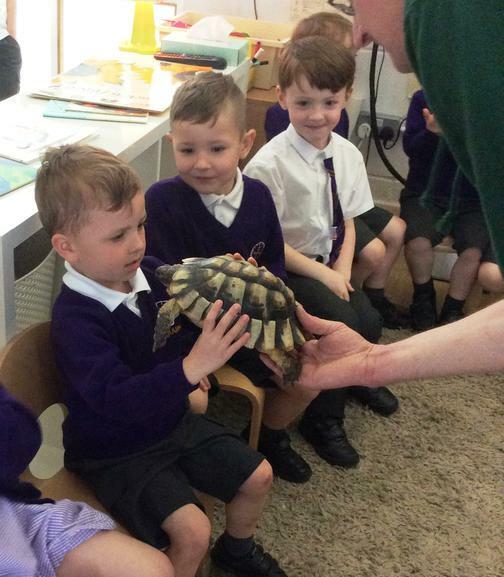 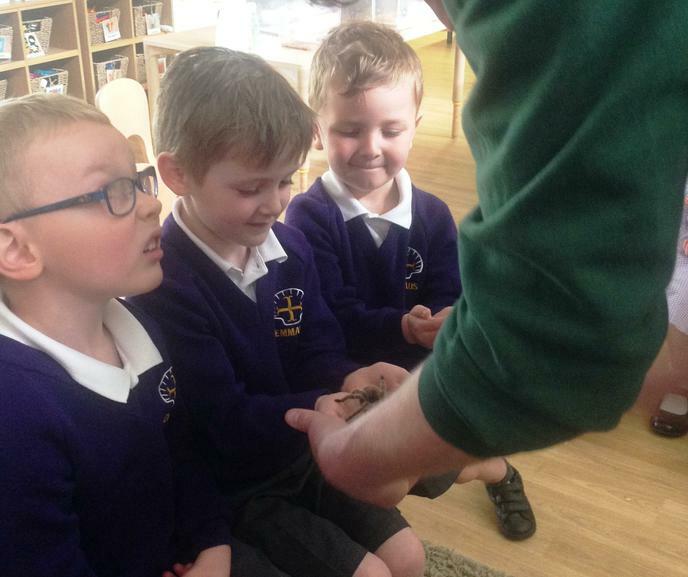 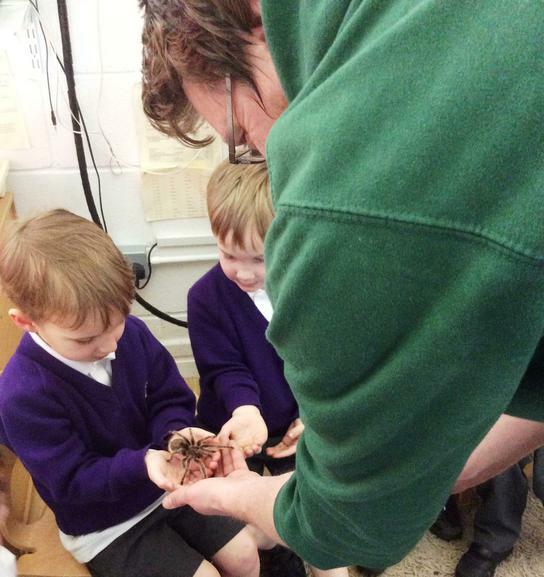 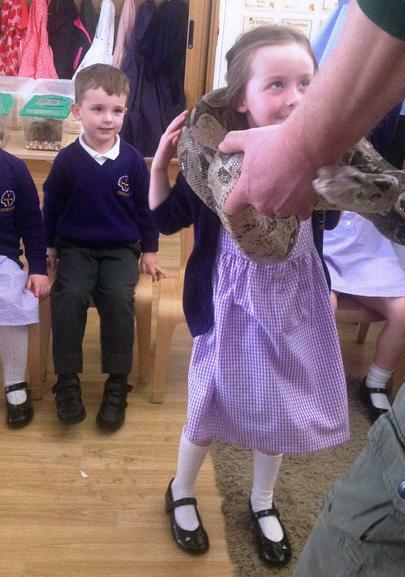 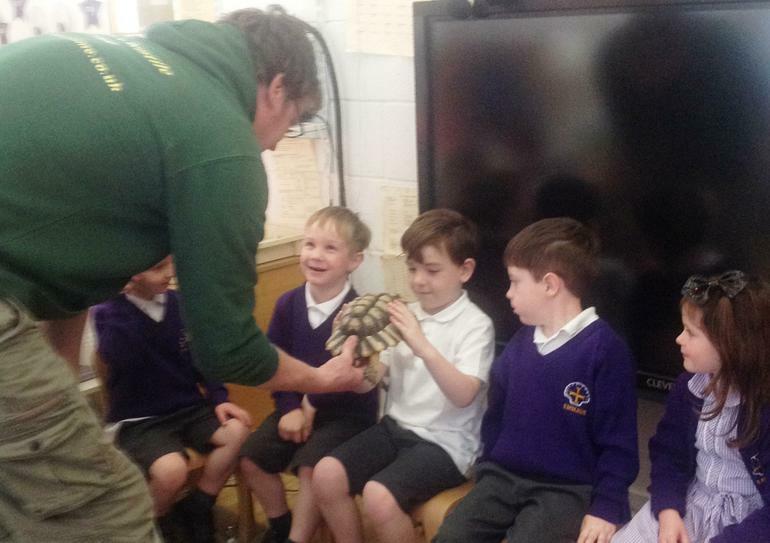 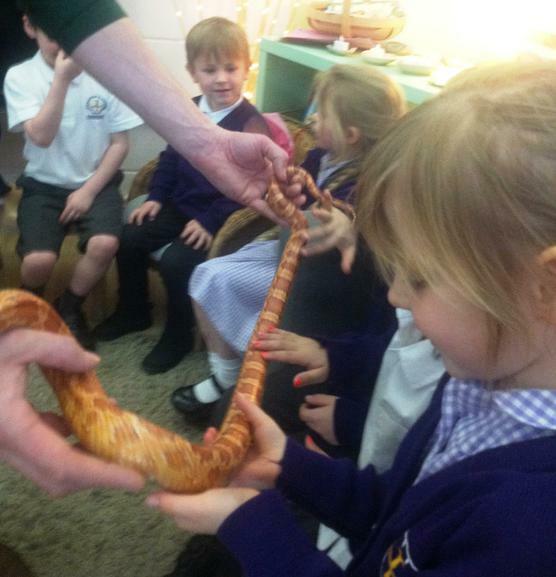 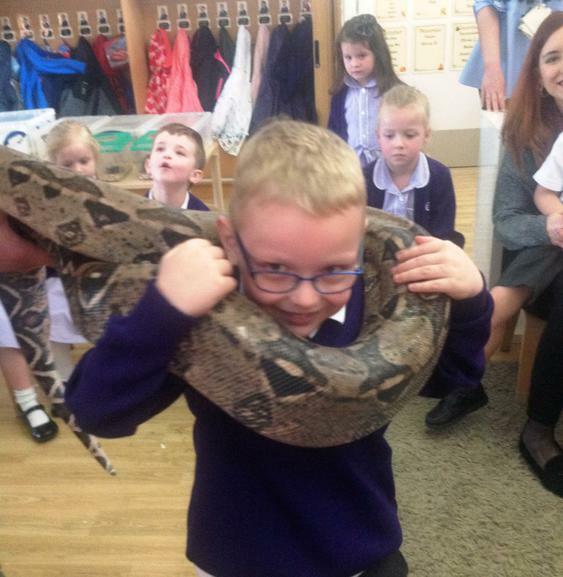 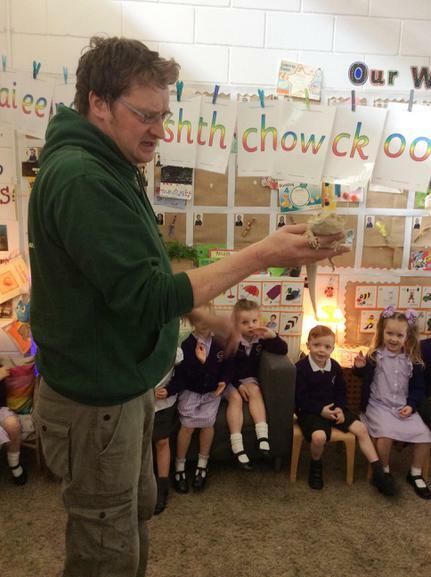 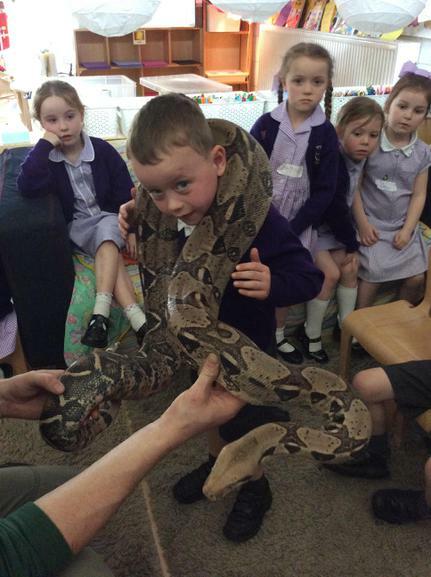 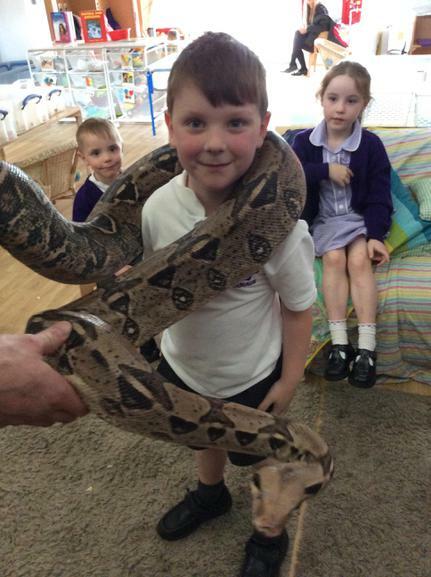 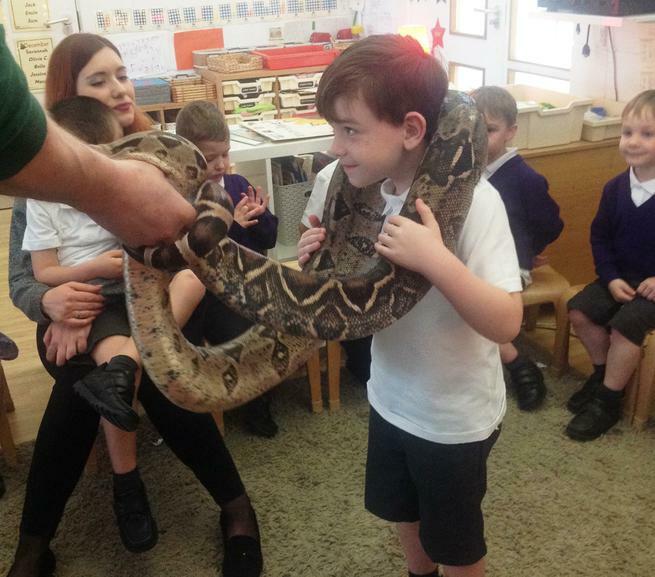 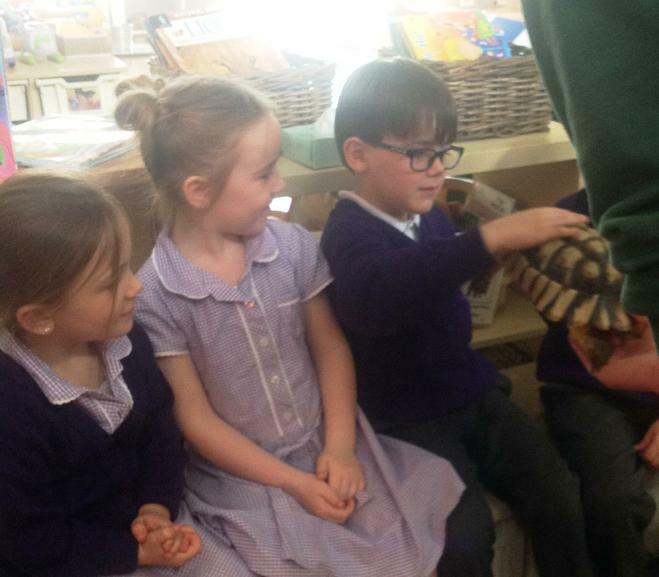 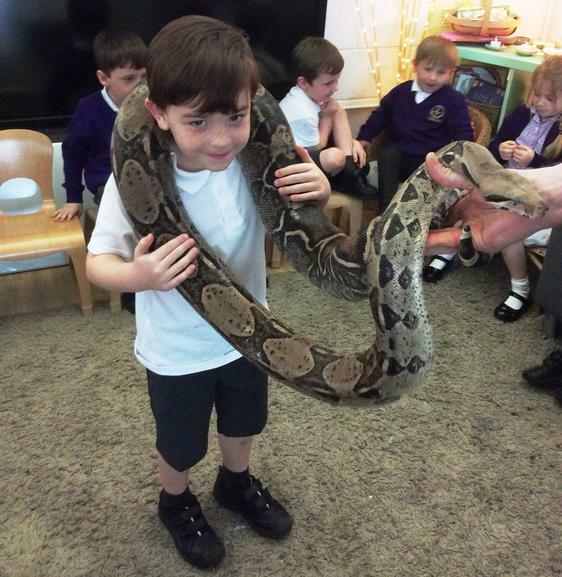 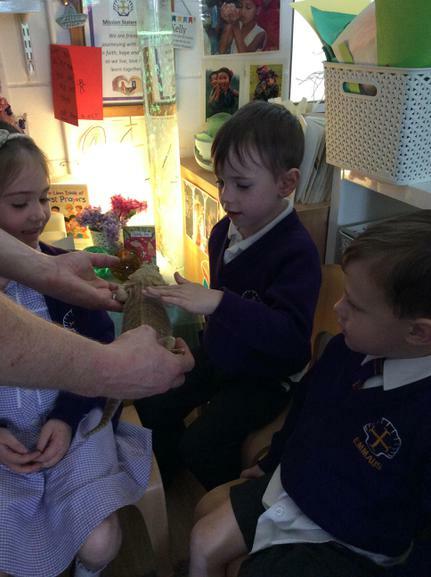 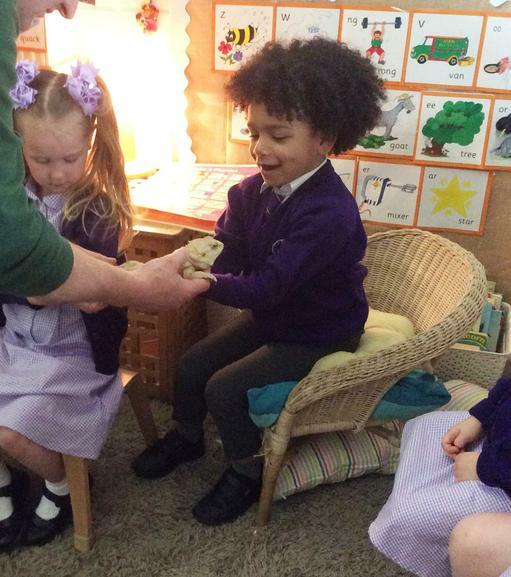 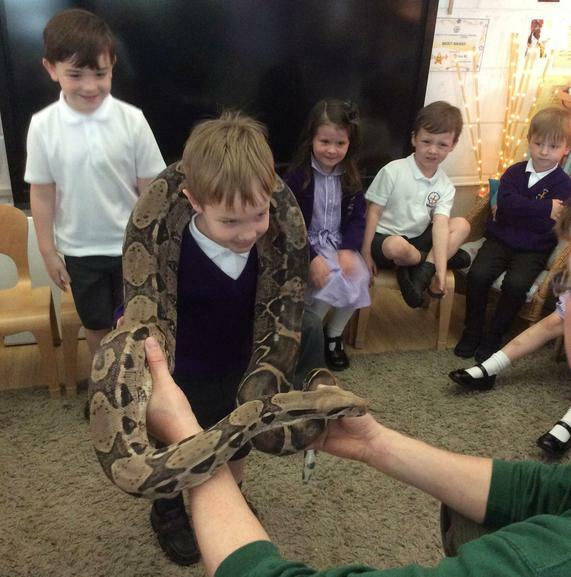 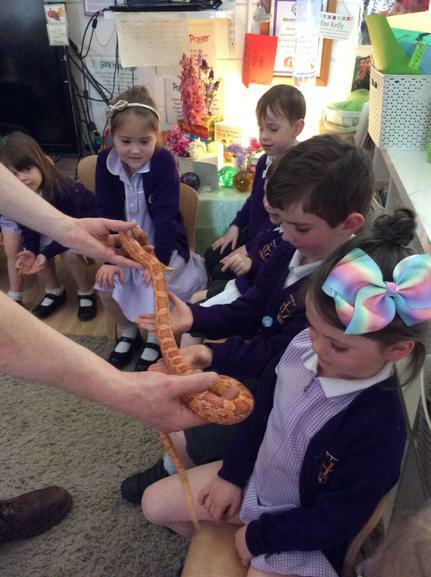 Dylan brought with him ‘Stretch’ the boa constrictor, a tarantula named Rosie, ‘Jaba’ the bull frog, 2 giant African landsnails and an array of reptiles, including 'Colin' the corn snake, a bearded dragon and 'Dave' the turtle! 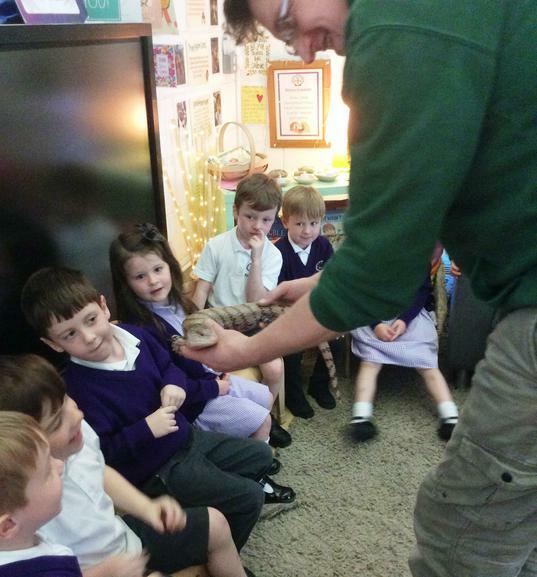 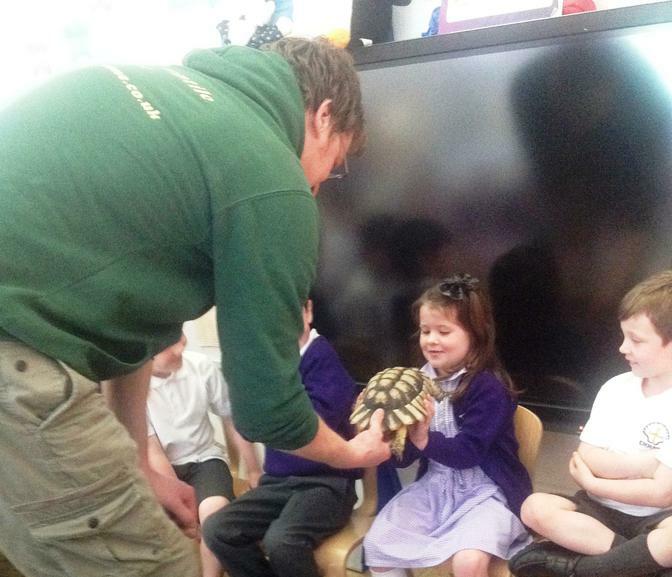 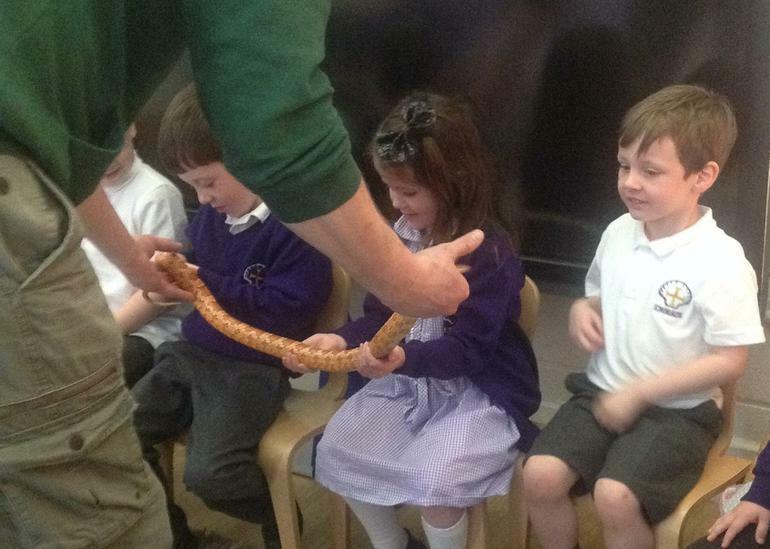 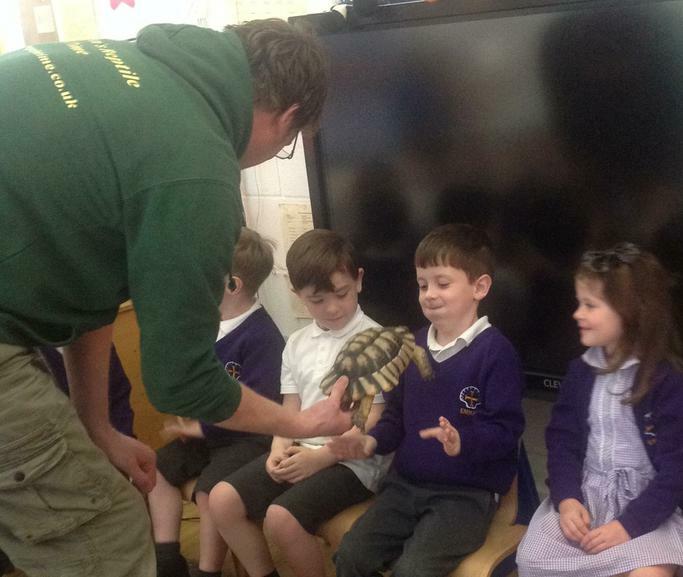 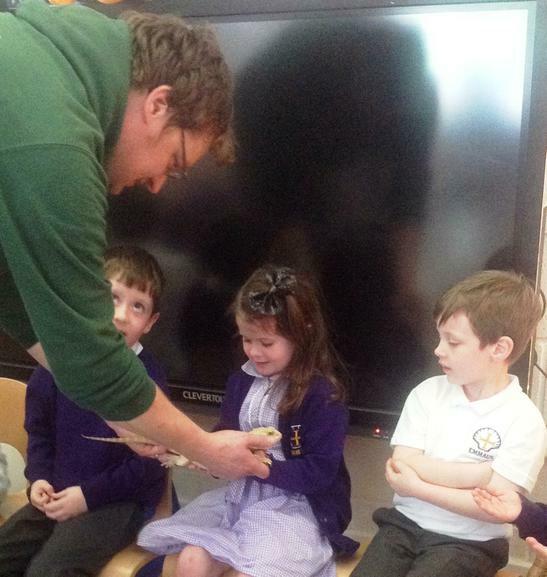 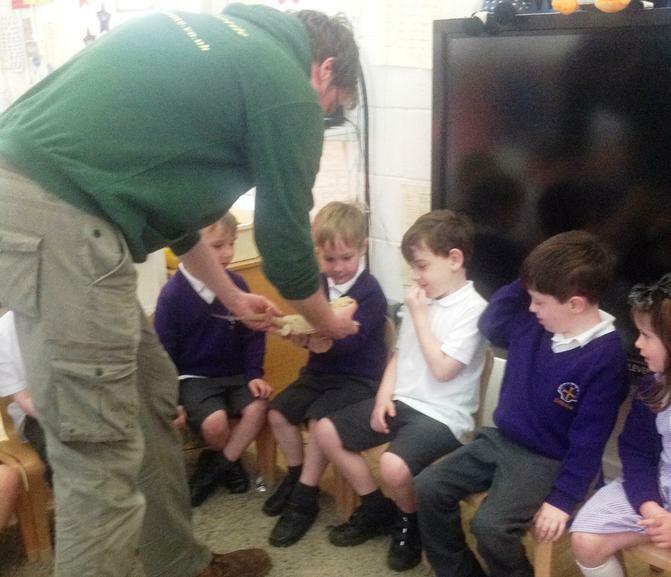 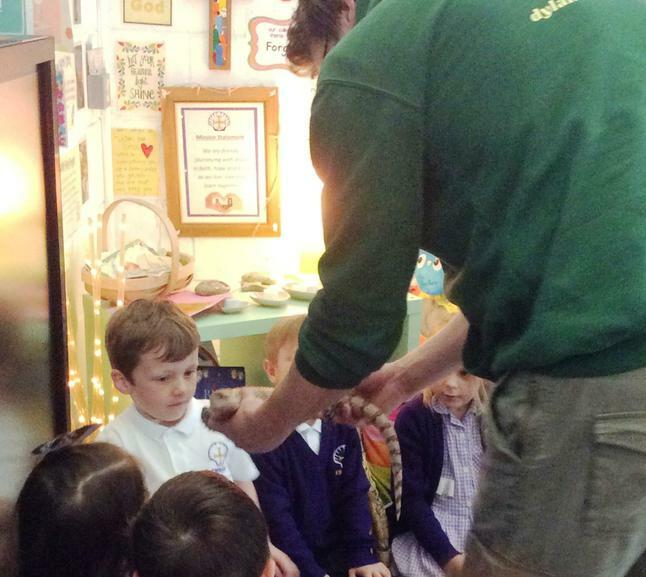 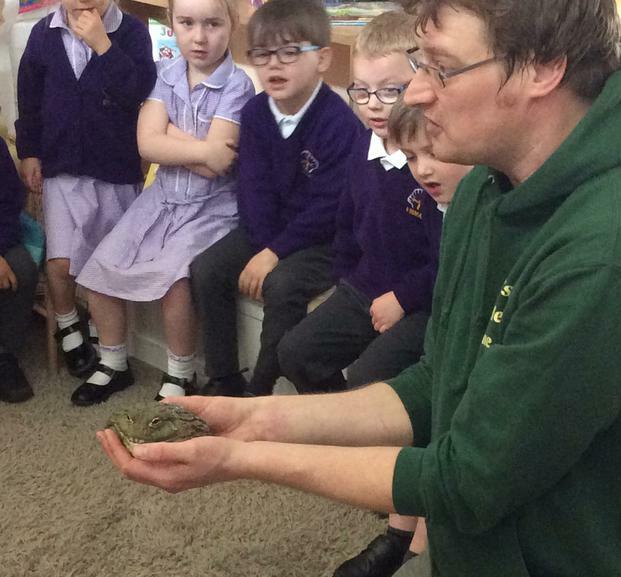 We were spellbound as Dylan explained how these fascinating creatures live, feed move and protect themselves. 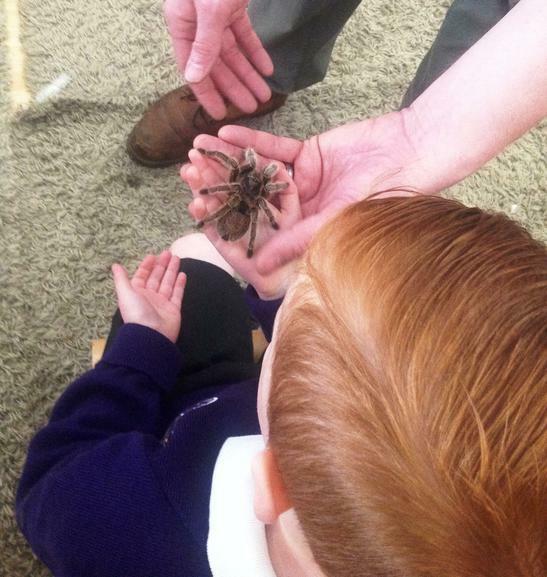 Then, we all had the opportunity to touch every single creature and most of us were more than happy to hold the tarantula and snakes too!